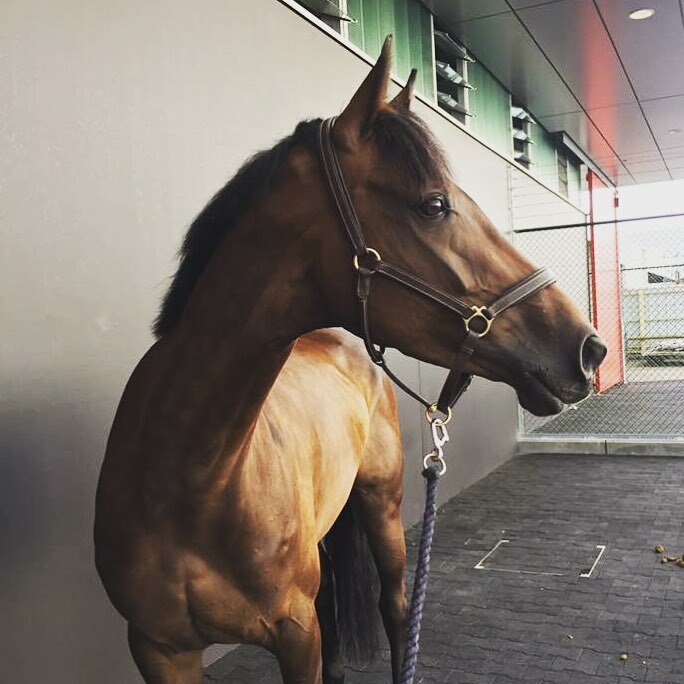 Check out El Kazir in Geneva, he really loves the indoor cross country! Balham Mist completed his dressage late this morning and did a very good test with plenty of promising bits landing them on a score of 52 for 16th overnight. Cross country starts on Saturday at 11.00, stay updated with the action with live results here, updates on Burghleys website here and livestream on Facebook here. 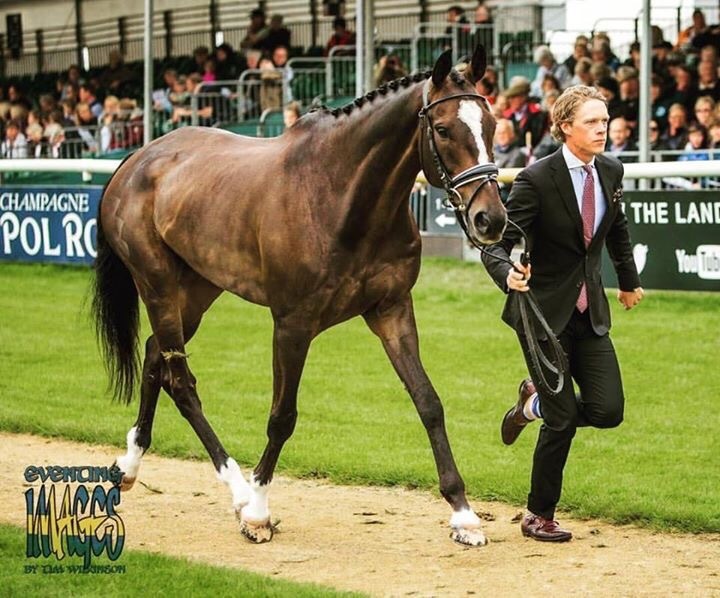 Balham Mist was accepted at the first horse inspection at the Land Rover Burghley Horse Trails, and will do his dressage test tomorrow at 12.36 BST. This is “Misty’s” first CCI****, so a very exciting weekend ahead! Keep updated with results here, on Burghley’s website and follow it live on Facebook. Ludwig and Paramount Importance jumped a beautiful round in the final show jumping with just an unfortunate misunderstanding for one fence down. The show jumping was big and technical and caused plenty of problems, so this result only dropped them one place to finish 15 individually. 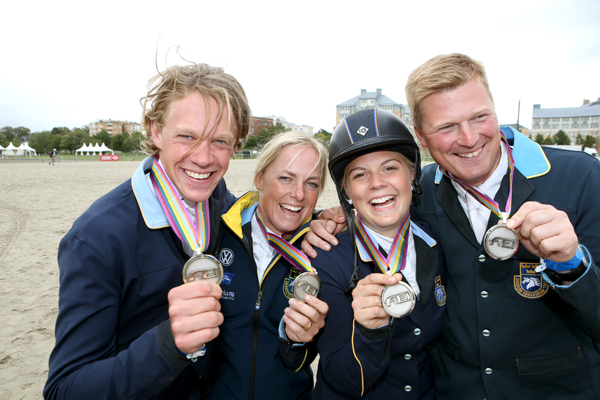 The Swedish team therefore, together with Sara Algotsson Ostholt, Louise Svensson Jähde and Niklas Lindbäck, maintained their bronze medal position! A fantastic cross country day at the European Championships at Strzegom saw Ludwig and his fellow Swedes climb the leaderboard to individual 15th and team Bronze overnight. Ludwig and Paramount Importance delivered when it really mattered on a testing course that had caused a lot of problems all the way around for the riders earlier in the day. Ludwig piloted “Louis” beautifully to finish with only 4.8 time penalties. This, together with good rounds from team mates Sara Algotsson Ostholt, Louise Svensson Jädhe and Niklas Lindbäck put Sweden in bronze medal position overnight, only 5.5 penalties behind Germany and 14.6 penalties behind Great Britain. 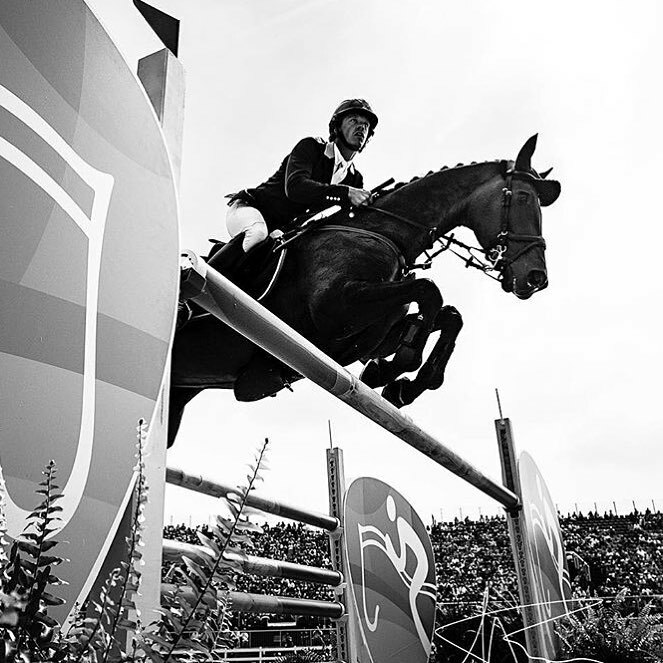 The final day off the Championships starts tomorrow at 9.00am with the Final Horse Inspection and first part of the show jumping at 11.00am-12.45pm to conclude with the final at 2.15pm. 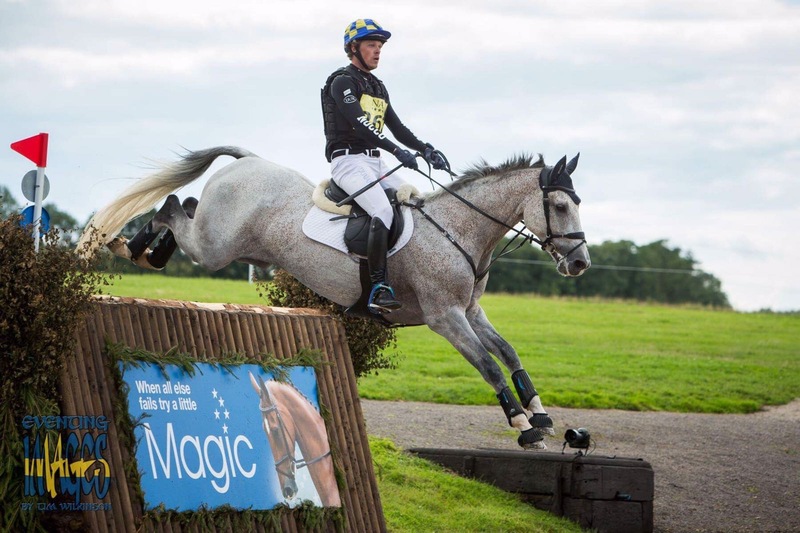 A very strong performance from El Kazir this weekend saw him and Ludwig finish 3rd in the competitive CIC*** class at NAF International Hartpury Horse Trials. A good dressage test but some unfortunate mistakes placed them just outside the top 10 overnight, and a clear show jumping and cross country, with one of the fastest times of the day shot them up the leaderboard to eventual 3rd. 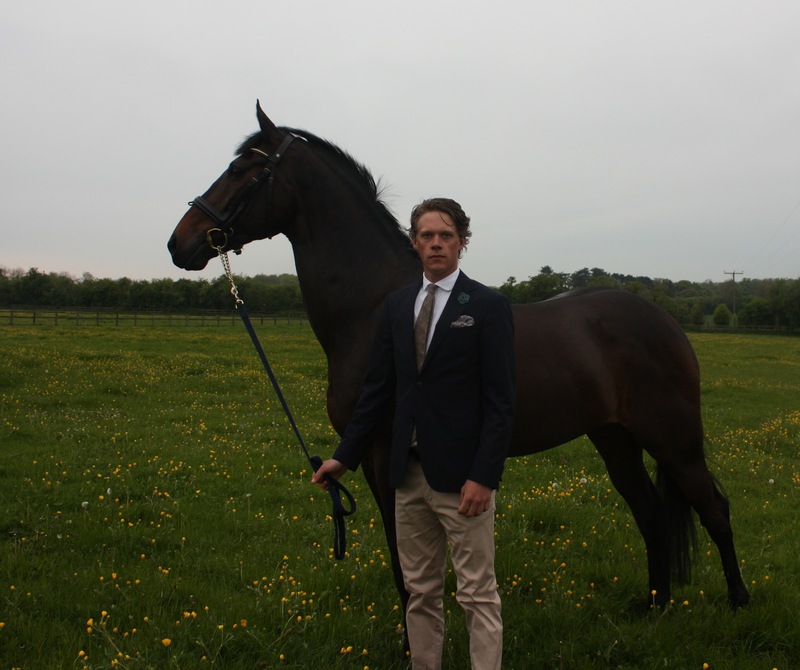 This was only Ludwig and “Elk’s” 3rd competition together so it is a very exciting partnership in the making. Ludwig has now 4 international podium finishes in 3 consecutive weeks! A win and 2nd at Burgham! 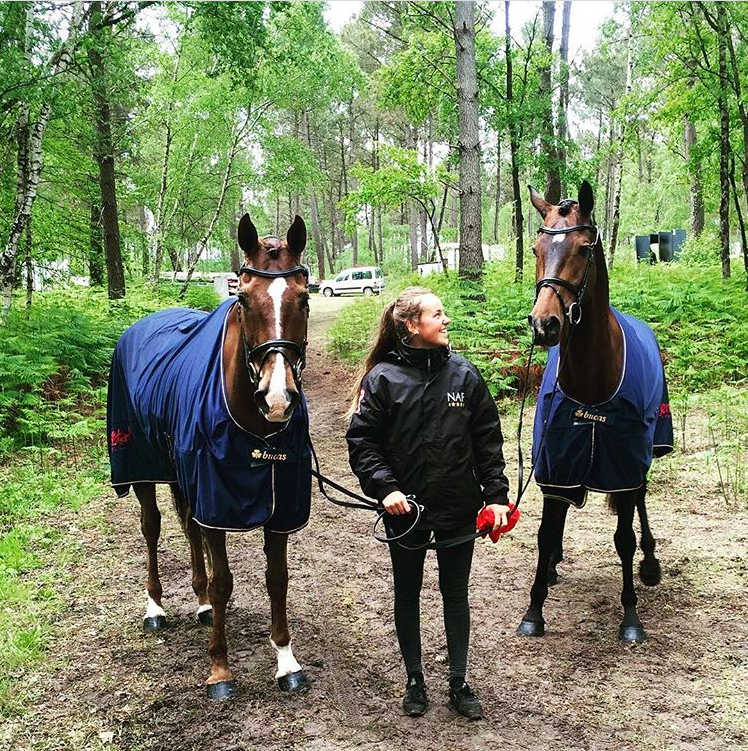 A fantastic weekend at Burgham saw Ewa Kroon & Skånegårdar AB’s Fialotta winning her first ever international. She finished on her dressage score of 38.8 for the CIC* win. 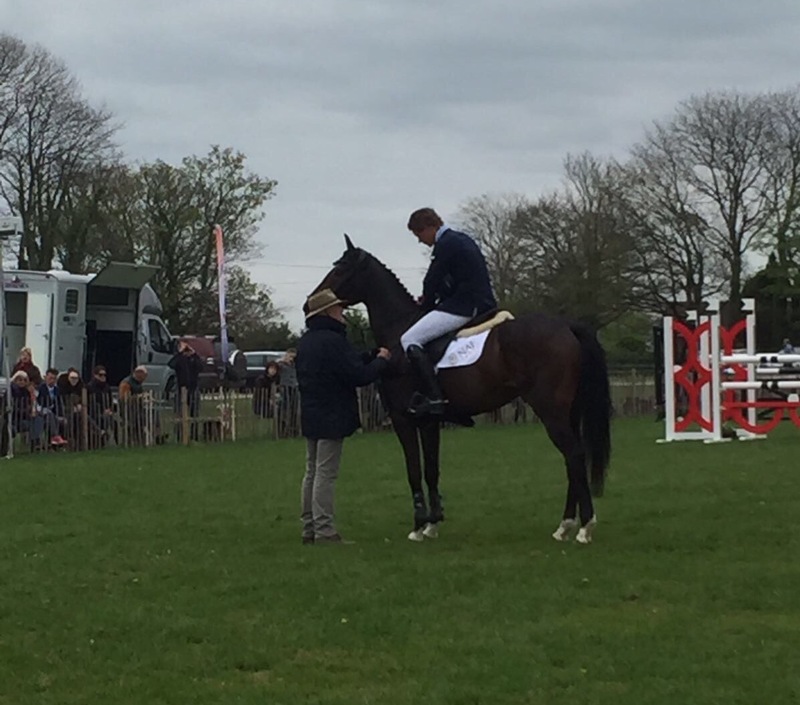 El Kazir was not far behind, finishing 2nd in the CIC** on his dressage score of 46.2. 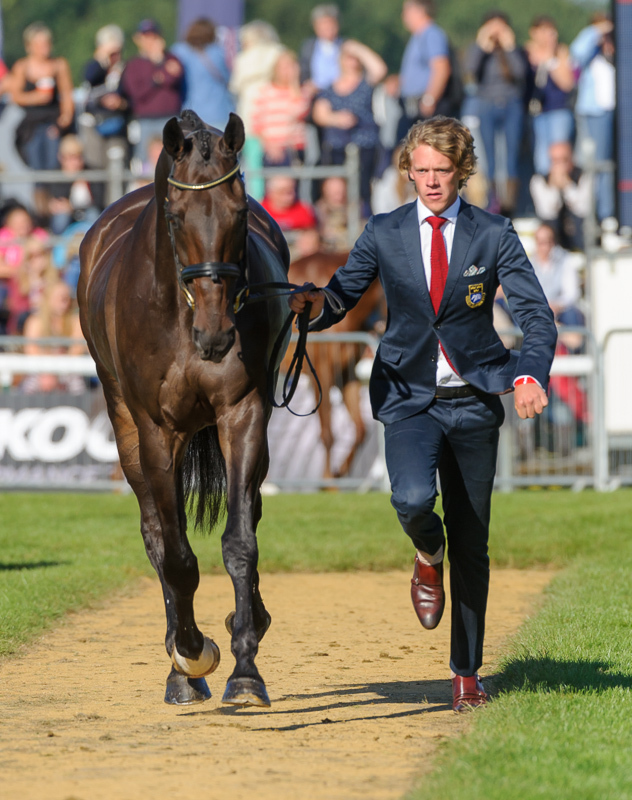 This was only Ludwig and Elk’s second competition together and hopefully an indication of their success to come. Paramount Importance had his last international run ahead of the European Championships and did a great competition and feels in great form. 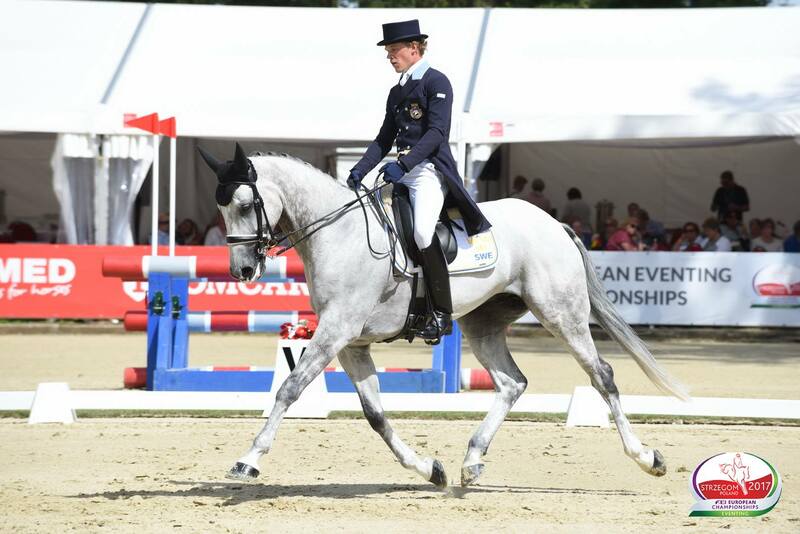 Ludwig is delighted to have been selected with Paramount Importance to represent Sweden as a team member at the European Championships in Strzegom in August! 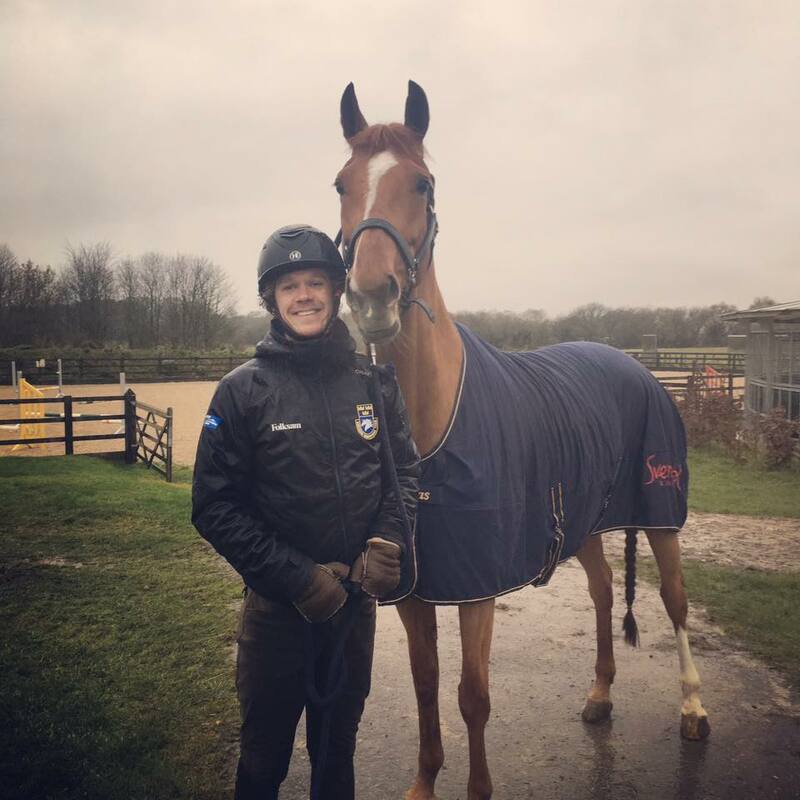 Paramount Importance, “Louis” was fantastic in all three phases scoring 46 in the dressage and adding only 8 time penalties from the extremely tough and testing cross country, which only saw just over half of the starters cross the finish line. On the final day a slight miscommunication led to two poles down, dropping Louis from 5th to eventual 14th. Louis is now qualified for the European Championships and CCI****! 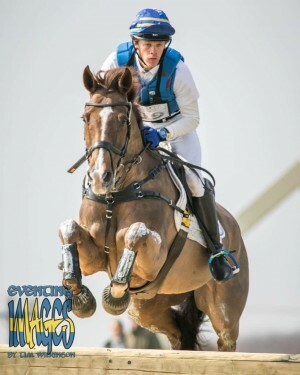 Ewa Magnusson Kroon’s Stinger was extremely impressive this weekend, having only started one CIC*** beforehand and never seen such a tough course before. 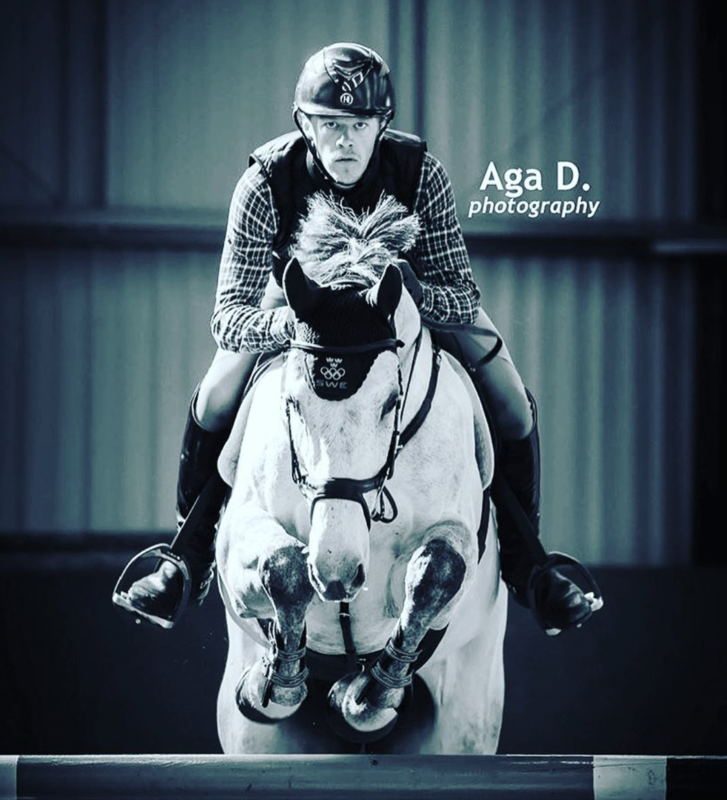 He scored 50.4 in the dressage after some mistakes and was absolutely flying across the country, en route to a spectacular round, when a skinny triple brush caught him out towards the end of the course but he still finished as one of the fastest. 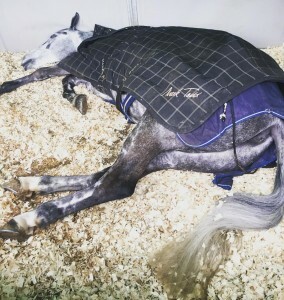 On the final day he was a bit tired and had a very unfortunate couple of rails, but we are still so excited of whats to come from this horse with bit more experience! 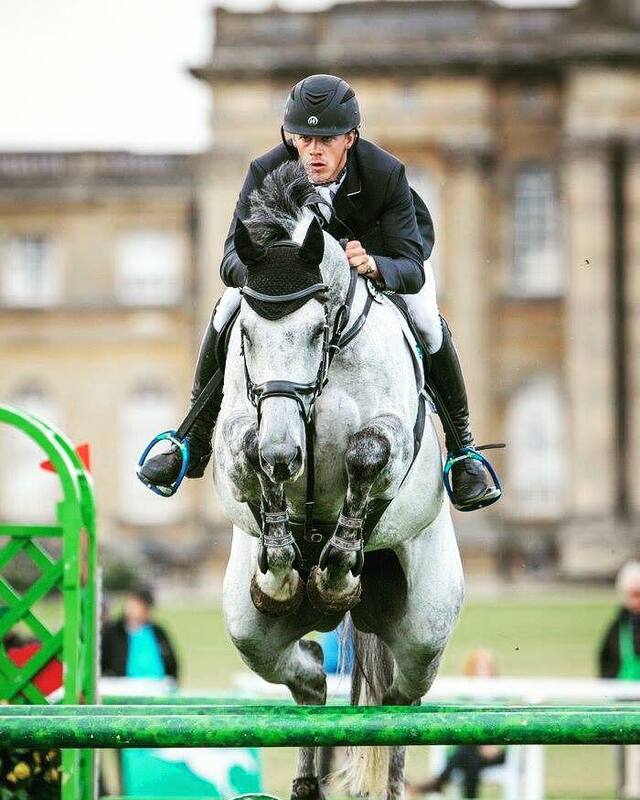 Stinger and Paramount Importance showed their class both finishing in the prize money at Houghton Hall Nations Cup CICO***. Ewa Magnusson Kroon’s Stinger was incredible to finish 12th in his first try at this level, and Paramount Importance finished 22nd in a field of 85. 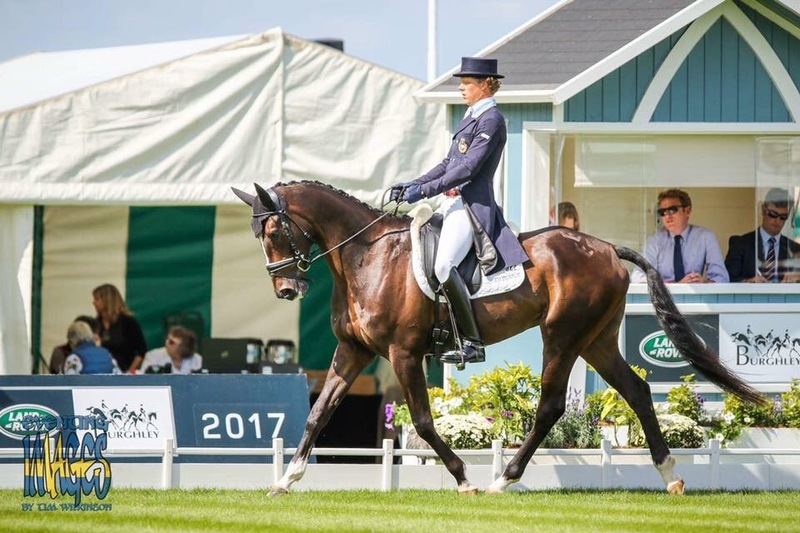 Stinger led the dressage in the CIC** and Paramount Importance was 4th after dressage in the CIC*** but heavy rainfall gave the organisers no option but to cancel. Obviously gutting but very kind of them to let us practice the show jumping. We are so excited to welcome the super talented Zick Zack to the UK! 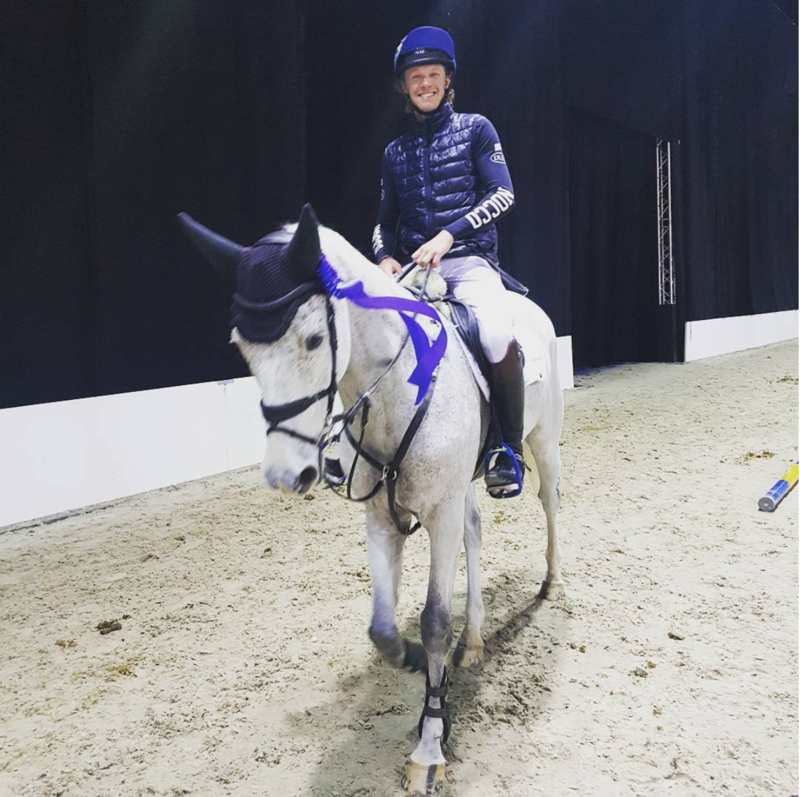 Ludwig has partnered up with her owner and producer Olympic dressage rider Mads Hendeliowitz of Segersta Equestrian to campaign her towards the 2020 Tokyo Olympics in eventing, and we can’t wait to get started! Ludwig has been selected on the Swedish 2017 A-Squad. We look forward to an exciting season! It’s with mixed feelings that I’ve decided to retire King Bob aka #bobthecob! 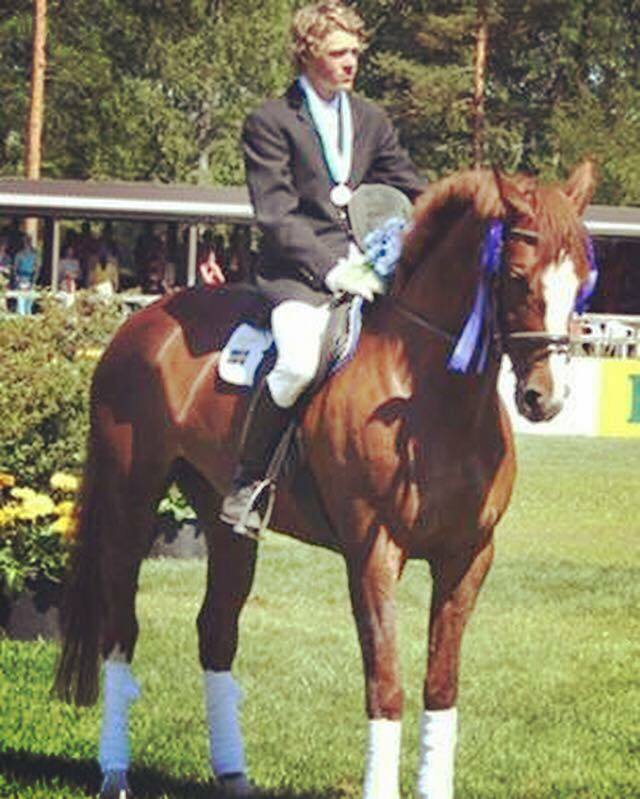 We had so many great moments, among them winning the Nations Cup in Strzegom, 8th at Burghley and 11th at Luhmühlen. 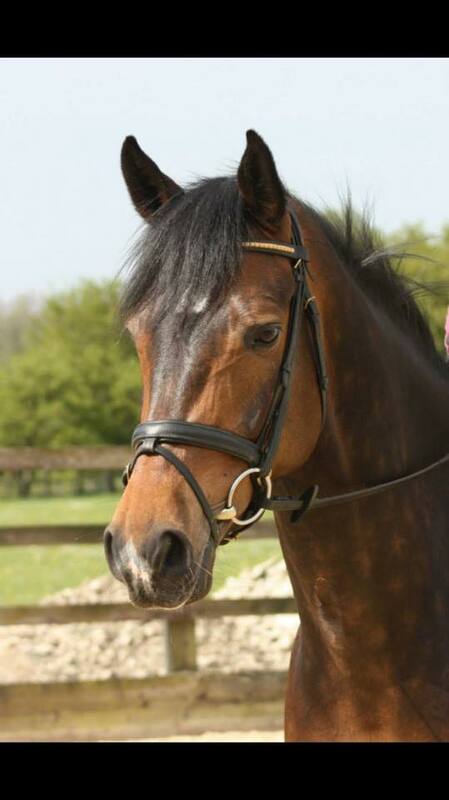 He will be stay with us, playing with the young horses in the field and enjoying his retirement like the king he is. 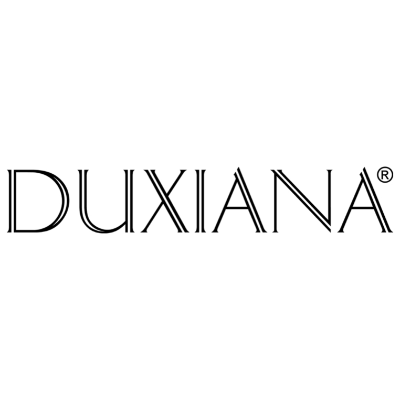 We are delighted to have partnered up with Duxiana! 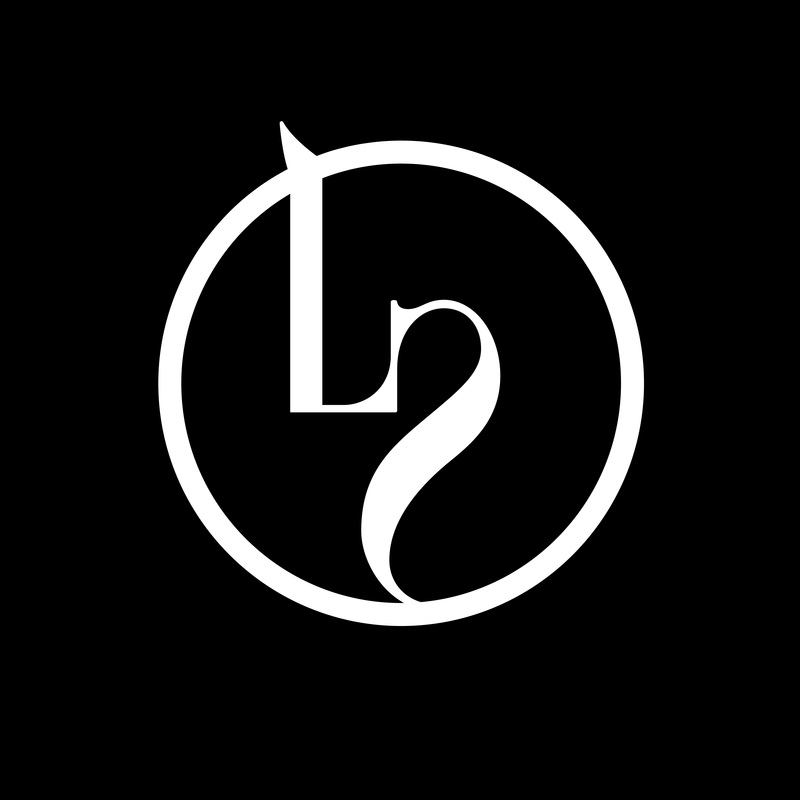 Check out their awesome products on their website, I’ve never slept this well before! “Louis” did a super job at the 8 and 9 year old championships at Blenheim, adding only 1.6 time penalties to his dressage score to finish 11th. I am very excited about his future! Great day at Wellington with Win and Love winning the Advanced, Paramount Importance winning the Intermediate and Balham Mist placing fourth in the 8/9yo Advanced! Aspe looks fantastic after yesterday’s tough cross country, huge thanks to supergroom Izzy for looking after her like the princess she is! 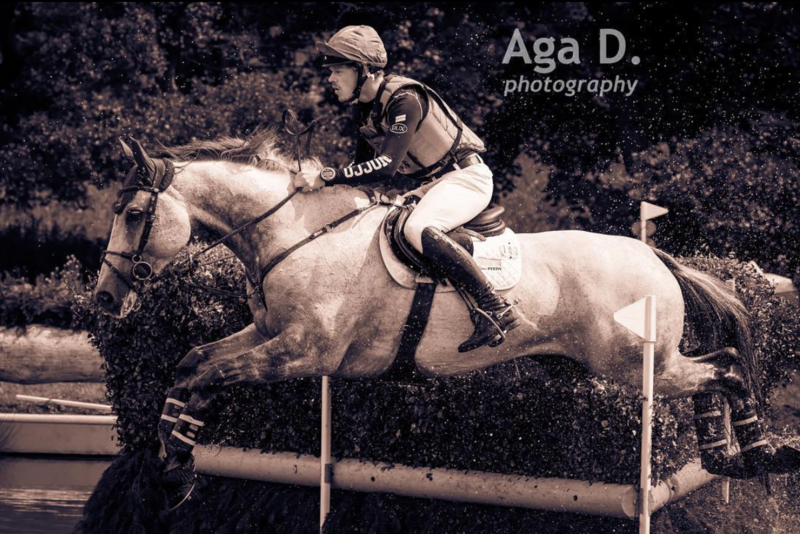 Wow, Aspe showed the world today what a class horse she is! At 8 years old to jump clear around such a tricky course is just incredible and I am so proud of her. Disappointed with our dressage today as we made some unnecessary mistakes towards the end of the test which dropped the score to 51. Plenty to jump tomorrow so now all focus is on the cross country. ..and we will have a true Championship track to jump on Monday! Very twisty and technical with many combinations, so the time will likely be hard to get as well but we feel ready and can’t wait for the competition to start now. 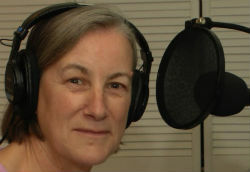 Can’t wait to catch up with Aspe tomorrow..! 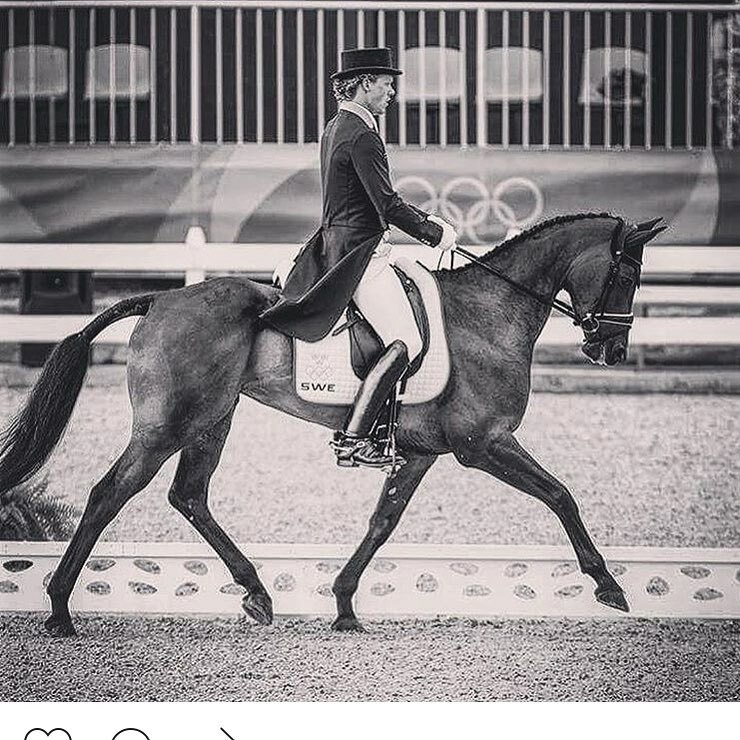 ..her flight to Rio and the Olympics! 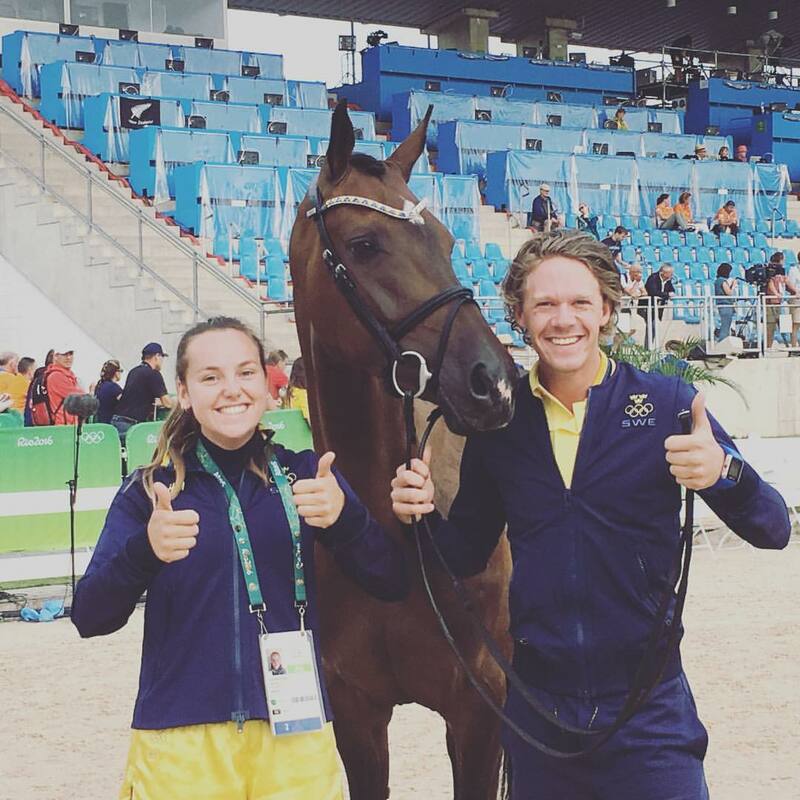 Fantastic news in today that Ludwig and Aspe have been selected to represent Sweden at the Olympic Games in Rio de Janeiro! Just under a month until kick-off! 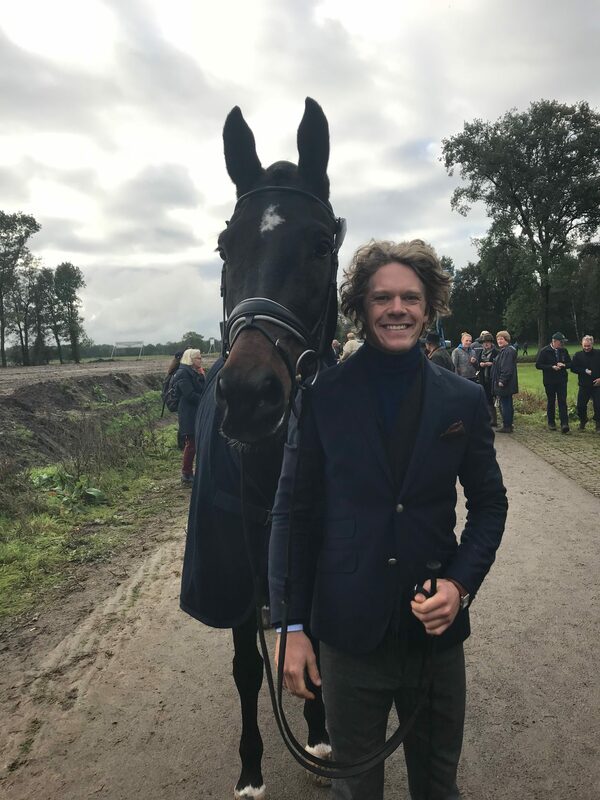 Ludwig finished 2nd in the Falsterbo Hunting with catch ride Stinger, whose owner Ewa Magnusson Kroon/Skånegårdar AB kindly let him borrow. 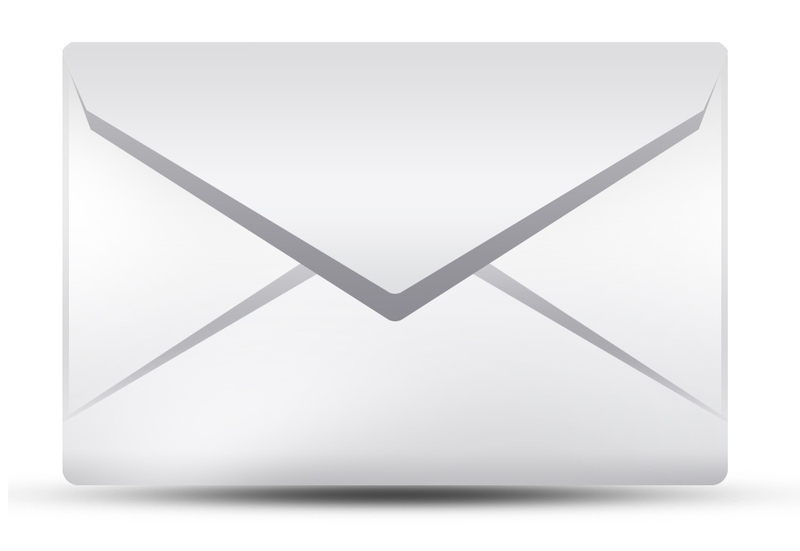 Keep an eye on social media this week for signings and meet and greets! 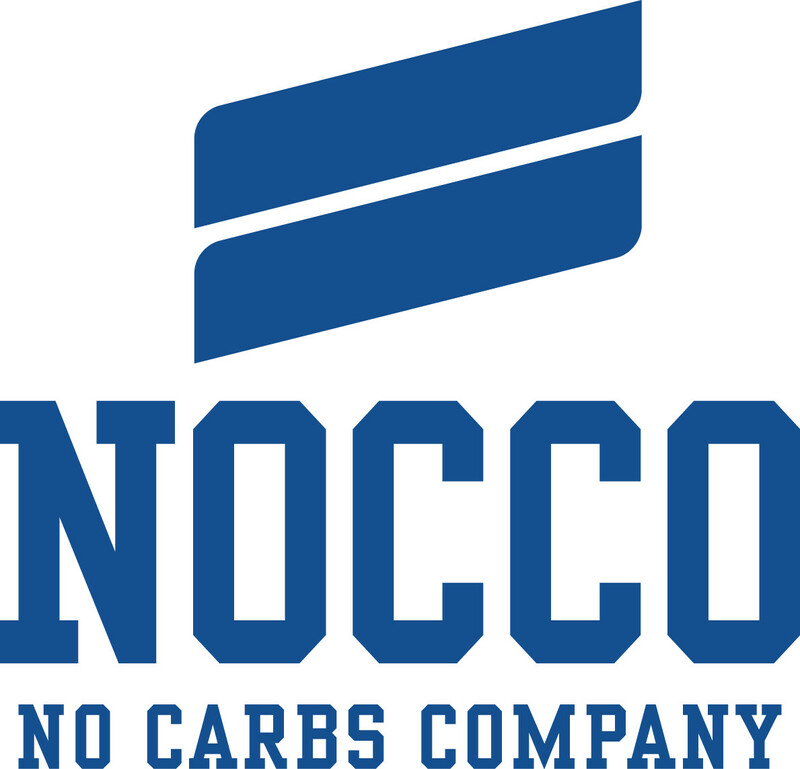 We are delighted to join Team Nocco! 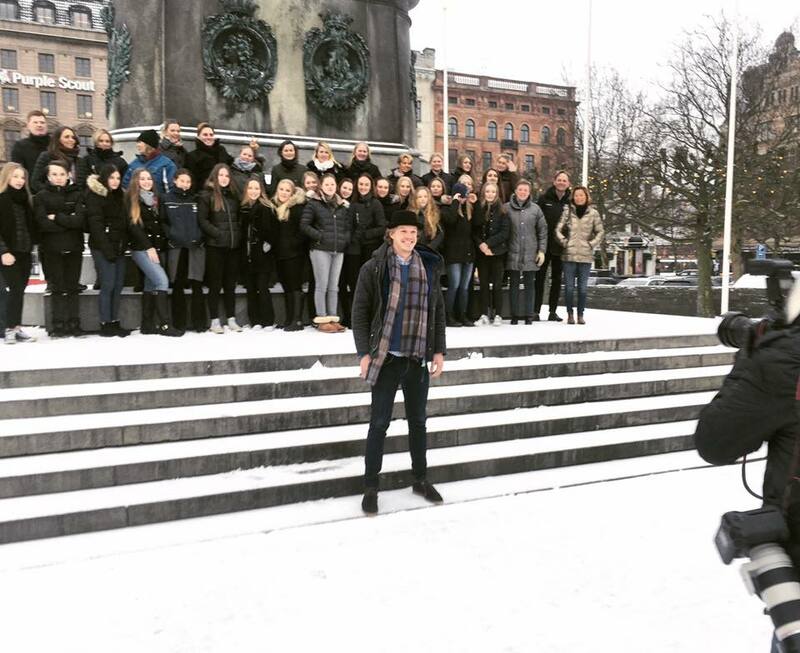 Check out their awesome products on nocco.se. 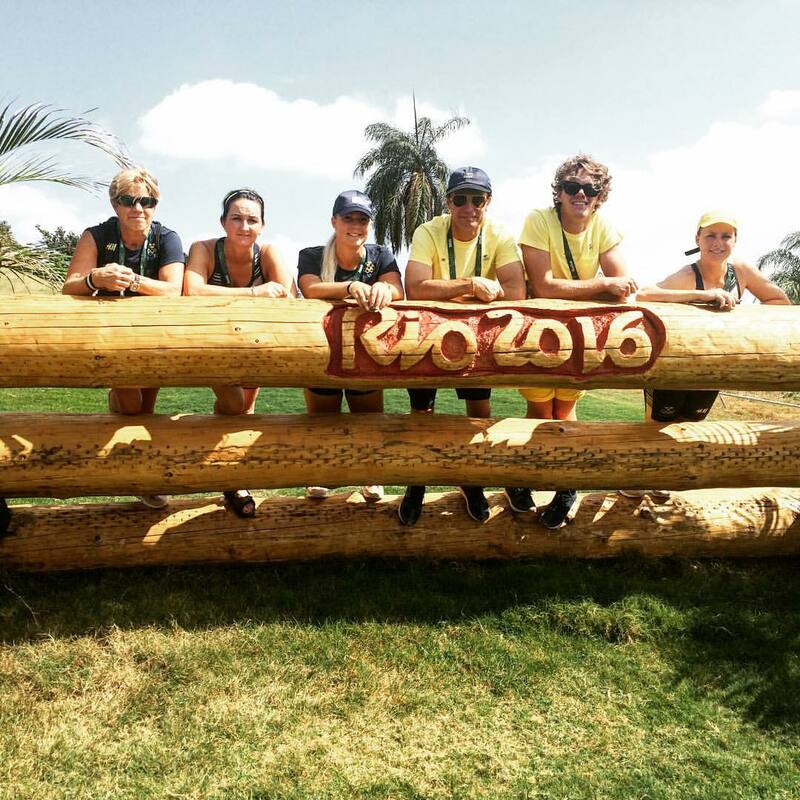 What an incredible week at Strezgom! 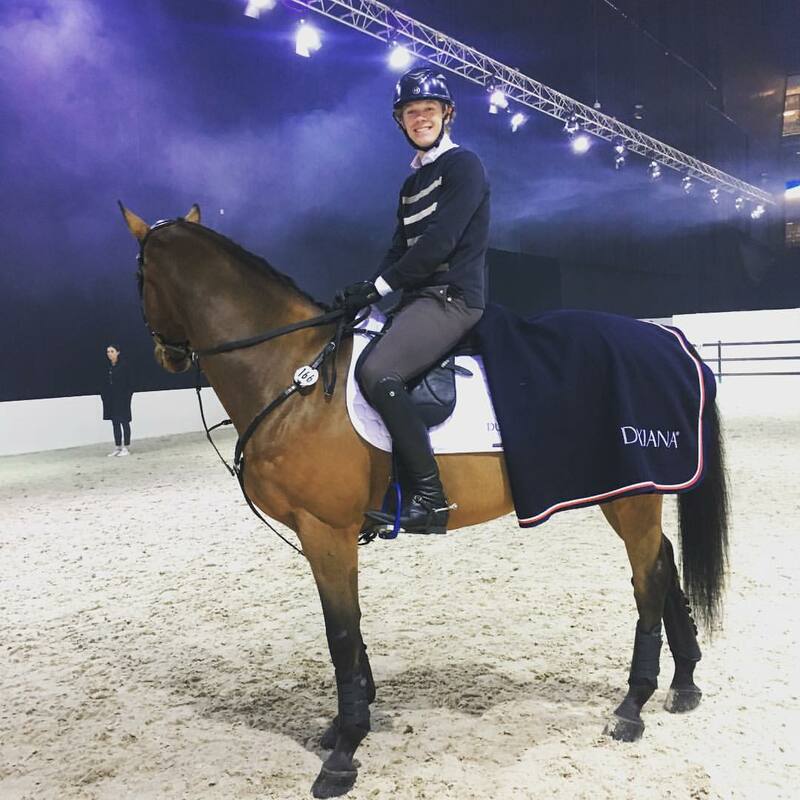 King Bob showed his absolute class in all three phases by setting a new personal best in the dressage of 40.5 and was then one of only three horses to finish on his dressage score to clinch the win ahead of current World #1, Olympic and European Champion Michael Jung. Young Aspe also showed great class to be placed 10th. 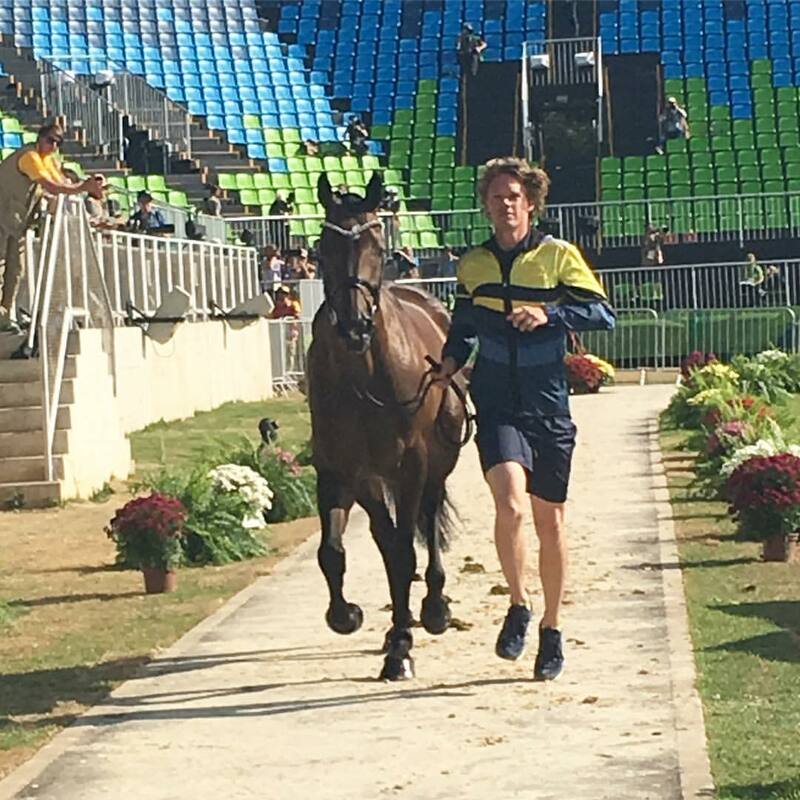 This was both horses final run before selection for the Olympic Games in Rio de Janeiro, which will be announced after Aachen in July. 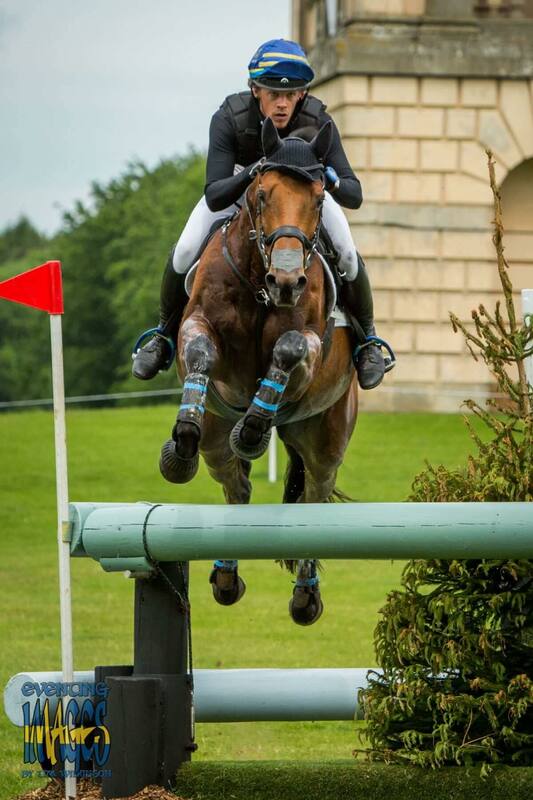 Terese and Regina Örup’s Box Leo was brilliant all week at his first CCI* at Houghton Hall. He got off to a great start, scoring 44.4 in dressage and then sailed through the competition to finish on his dressage score for eventual 5th in a huge field of 76 starters. This results would be impressive for any horse, but even more so for a 6 year old, in only his second ever international. 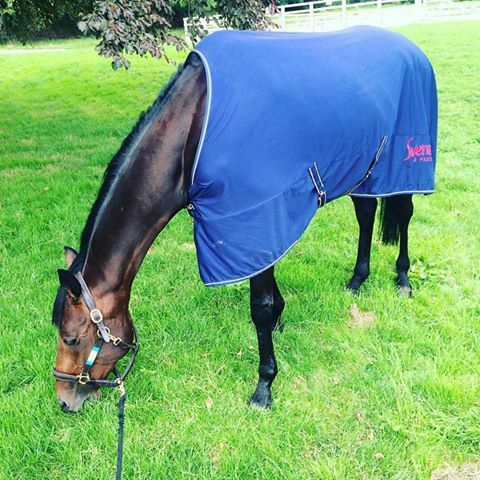 We look forward to an exciting future with this horse and his lovely owners! 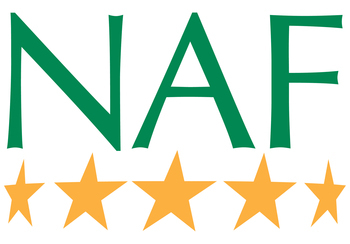 We are delighted to announce that Ludwig is now part of the NAF family as part of their International Rider Programme. 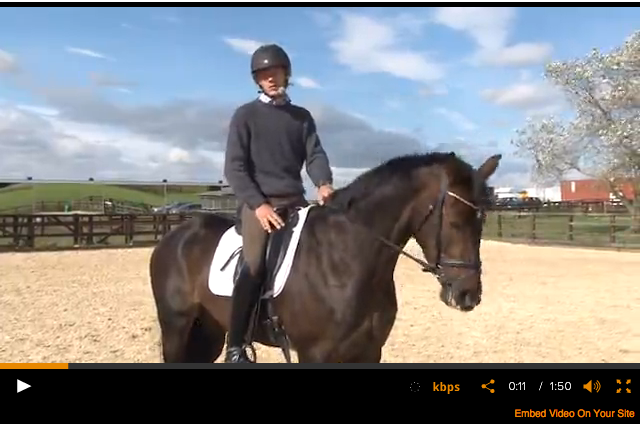 Bloopers from Horse and Country TV‘s Masterclass Extra with Ludwig. The full episode will be available to download exclusively on H&C Play from 23 November, don’t miss out! 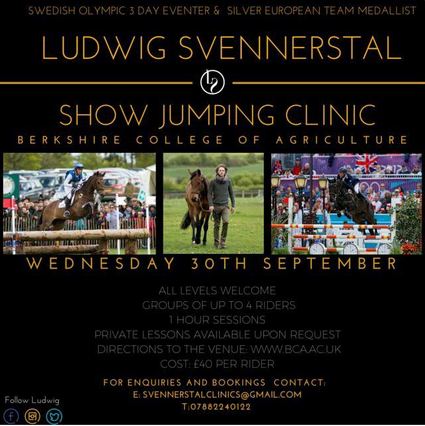 On the 30th September Ludwig will be hosting a showjumping clinic at the Berkshire College of Agriculture. All levels are welcome, groups max 4 and 1hrs slots for £40 per rider, private sessions available upon request. 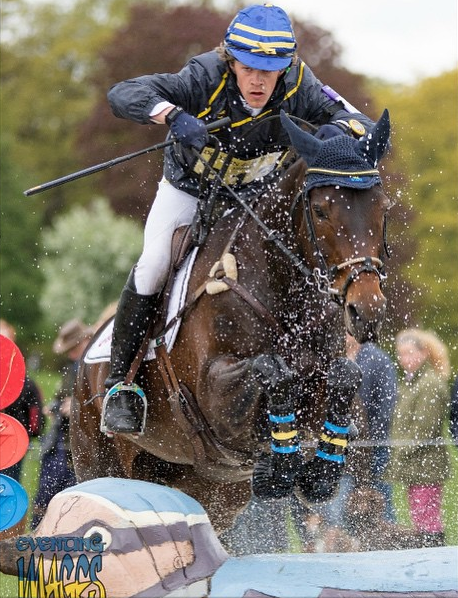 We’re are delighted to announce that Ludwig has been selected to represent Sweden in the CICO 3* Nations Cup in Aachen, Germany on the 11-14th August 2015 where he will be riding King Bob. 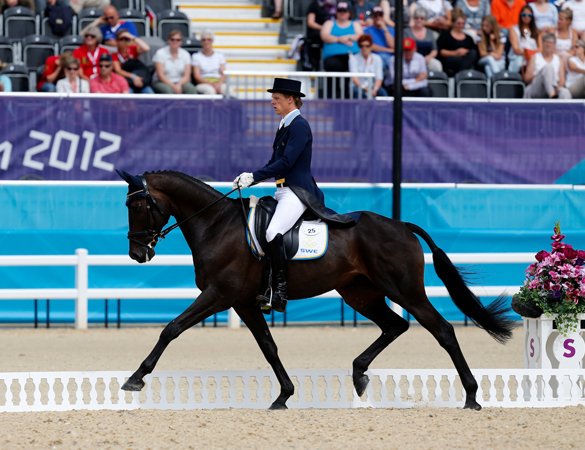 He will be joined by team-mates Sara Algotsson Ostholt, Louise Svensson Jähde and Johan Lundin. 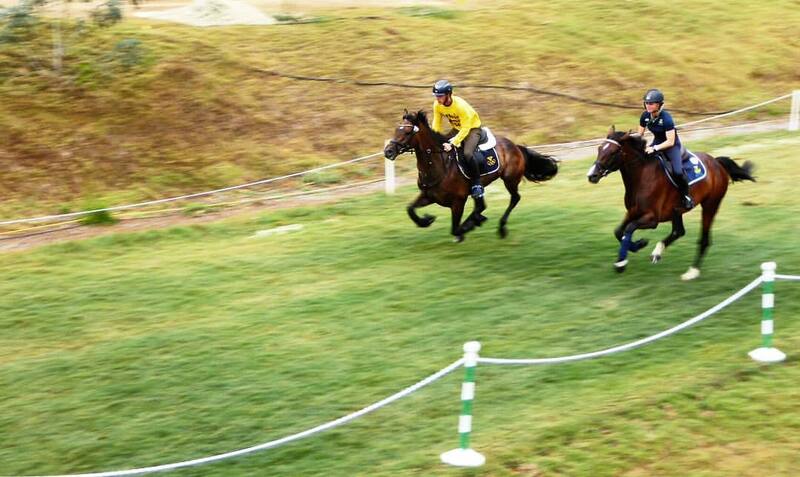 The competition is seen as the warm-up for the European Championships in Blair Castle (GBR) 10-13th September 2015. 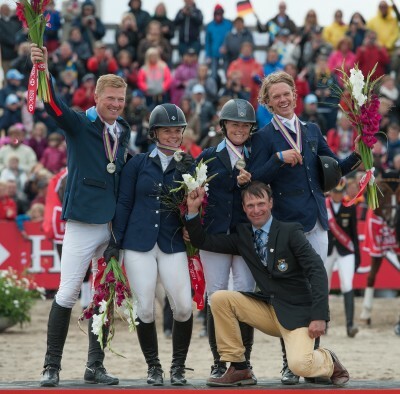 Swedish Chef d’Equipe, Staffan Lidbeck, has declared that the Swedish Championship team will be announced the week after Aachen. Badminton is fast approaching with only 10 days left to prepare. 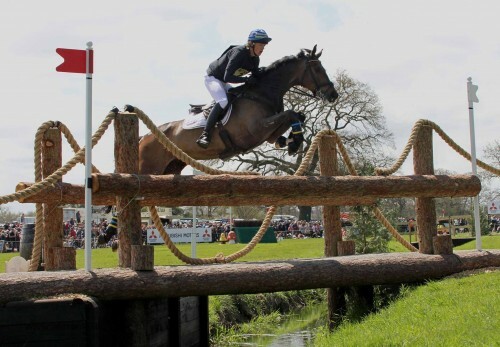 So far the run up to Badminton has been well planned and looks promising. 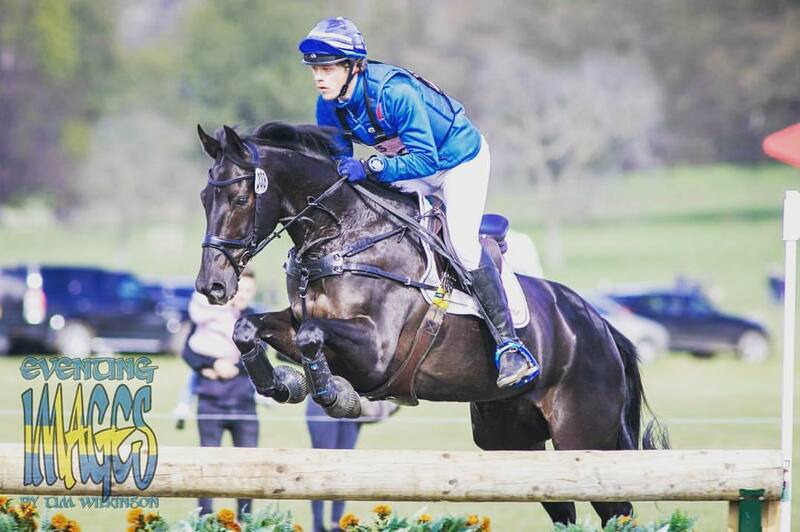 The serious preparation began at Gatcombe Horse Trials with King Bob and Alexander feeling very fresh, despite this they both performed to a good standard. 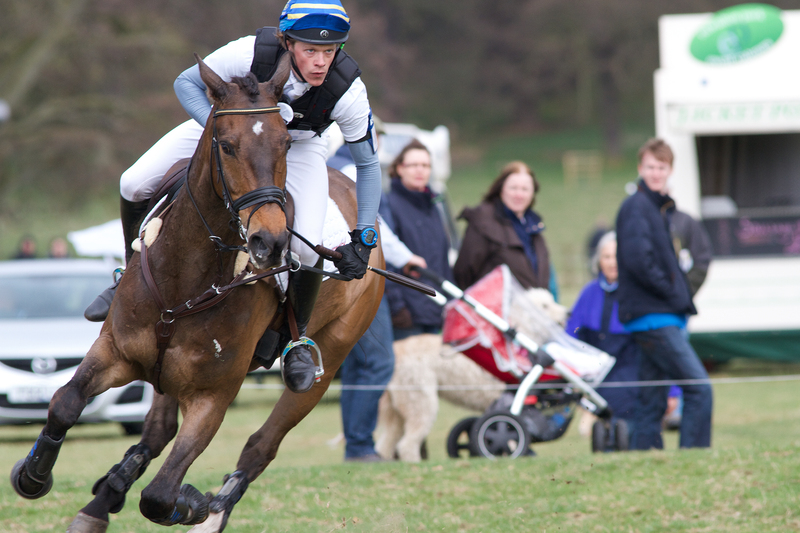 Next on the list was Belton Horse Trials where the horses both competed in the 3*. Alexander delivered a good standard of dressage with some minor mistakes, he then showed pure talent in the show jumping phase. Followed up by an exciting cross country round and finally finishing in 9th place. 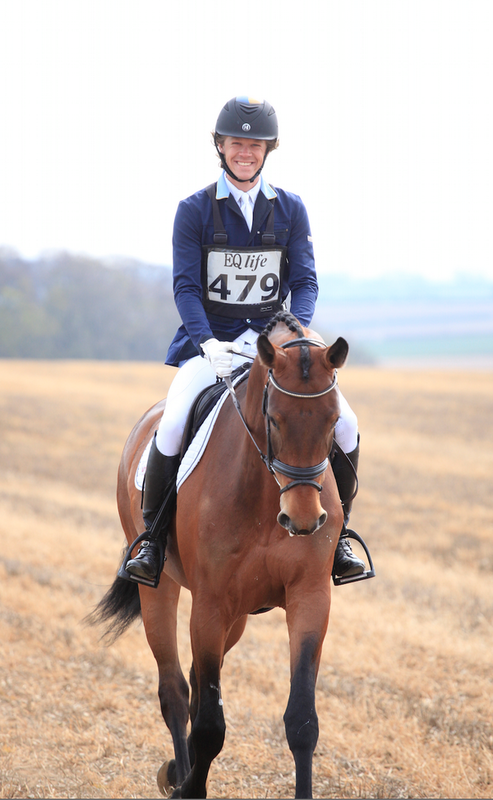 A very fresh King bob had a average dressage test and excelled during his cross country round. 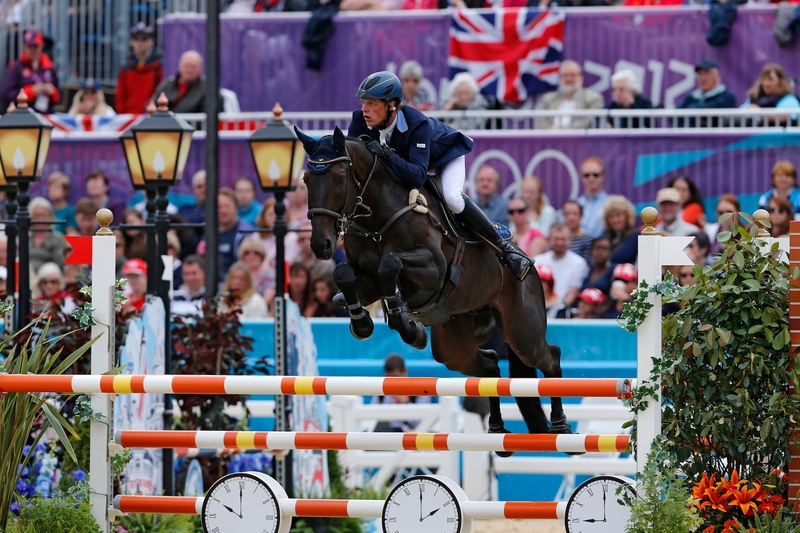 An unlucky pole in the show jumping left King Bob out of the prizes. 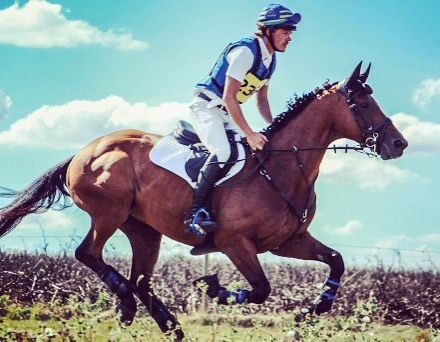 After a good run at Gatcombe and Belton I wanted to work on the dressage performance of both horses, therefore, made the decision to take both horses to Burnham Market where they competed in the dressage phase only. The method behind this was to keep both horses calm during this competition in hopes for outstanding performances at Badminton. Alexanders quality of dressage test was much improved from previous competition, King Bob felt slightly tense during his test but the standard was good. My lovely 5yr old Salunette provoked the most excitement during this competition. 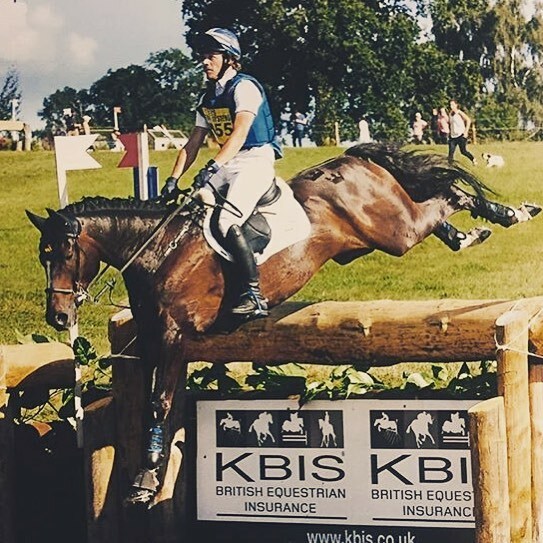 Salunette was entered in the BE100 and this was her first ever event, Her dressage score of 32 was the top mark in the dressage phase and a double clear showed her promise as a nice event horse. 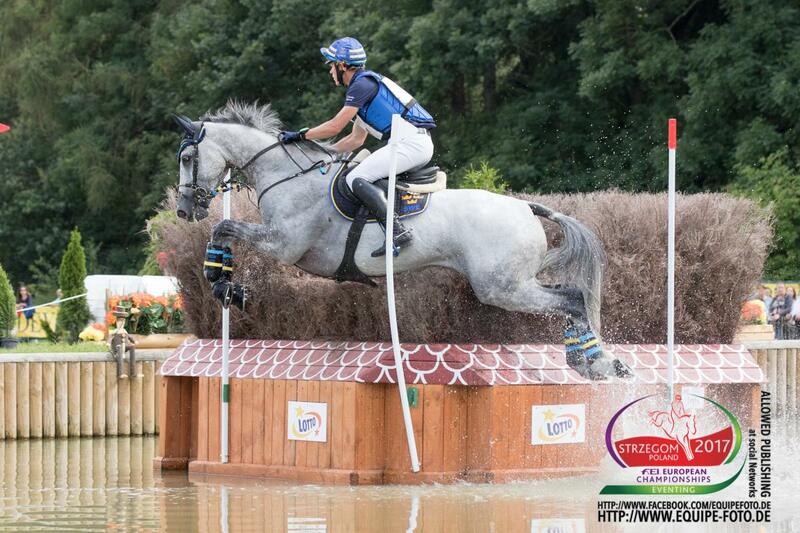 A few time faults were picked up during the cross country phase as a result of going steady around her first event. Congratulations go to my sister, Ellen, on her horse Southway for picking up 6th place in the 3*. 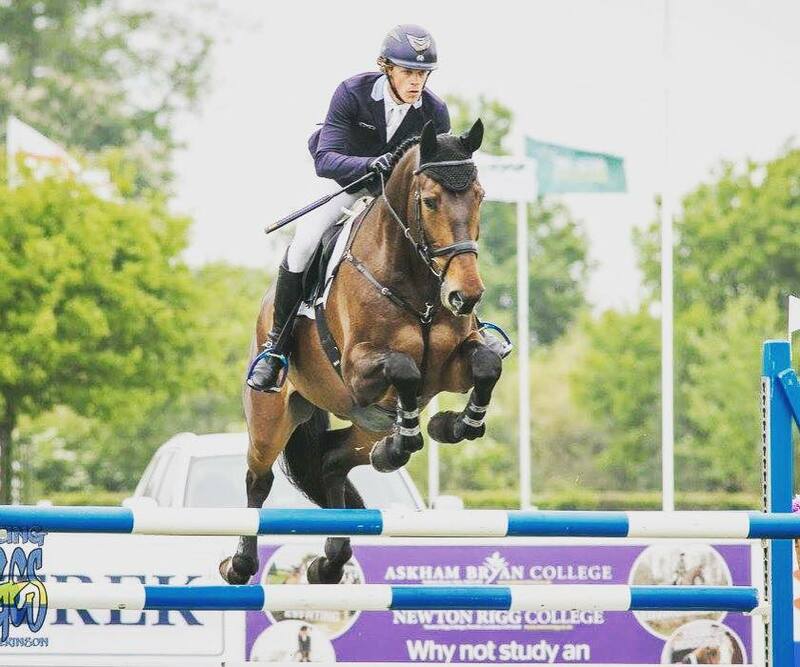 Burnham Market was a productive show for myself and all of my horses and the excitement for badminton really set in with King bob and Alexander improving in their dressage phase. Yesterday the horses were cantered and were on good form, the hardest part of the Badminton preparations have begun and I am very hopeful for a good performance on both my horses. Thankfully I got a good draw this year, Alexander is no.23 and King bob is no.103. 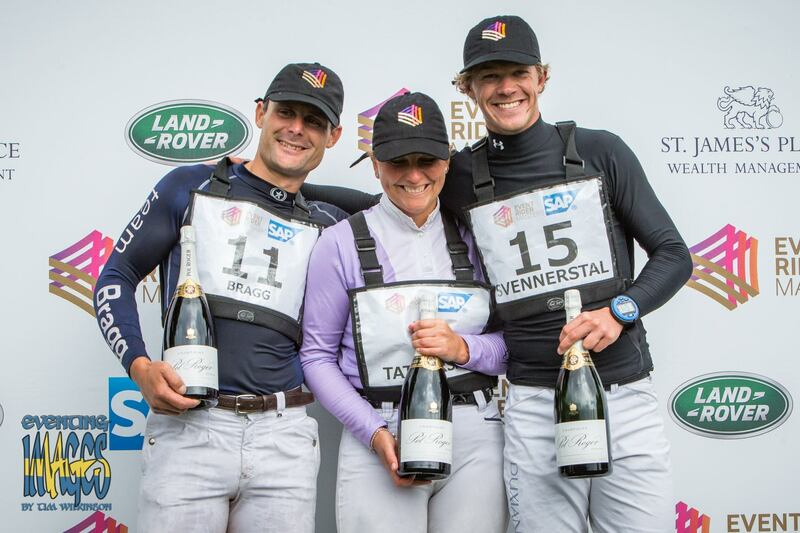 The draw as well as rider profiles can be found here: http://www.badminton-horse.co.uk/index.php/horses-riders/. I Hope everyone has seen the new cross country course for Badminton this year. 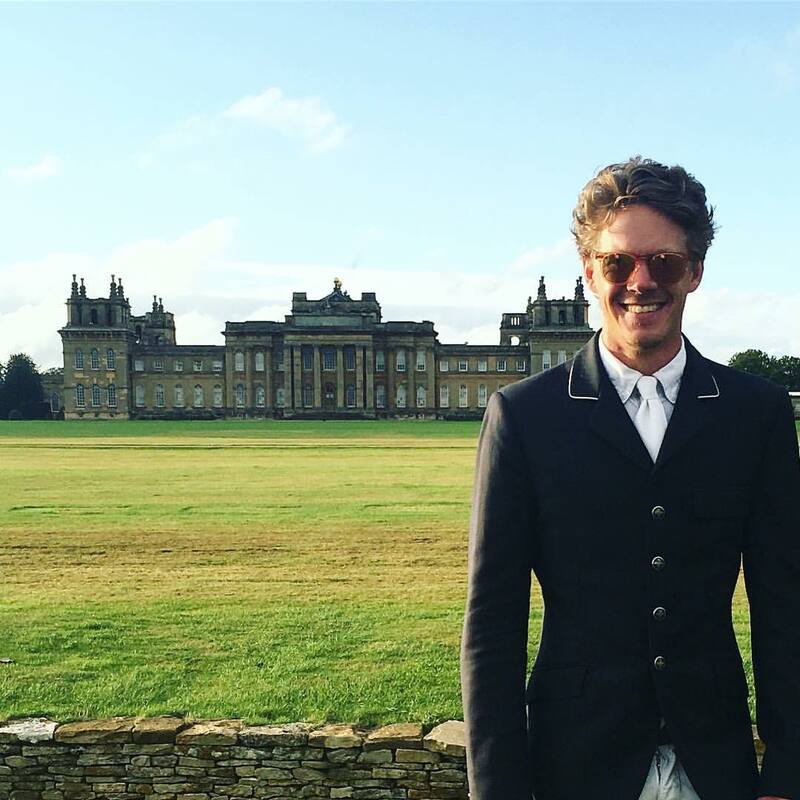 Giuseppe Della Chiesa has designed a course that looks challenging in places and it is good to see that he has kept classic touch. 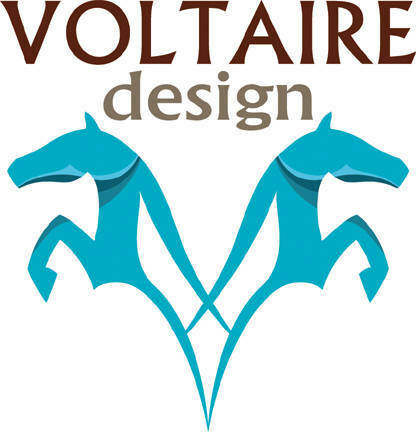 I am anxious to see how my horses cope around the course and so thrilled to have two rides around it. 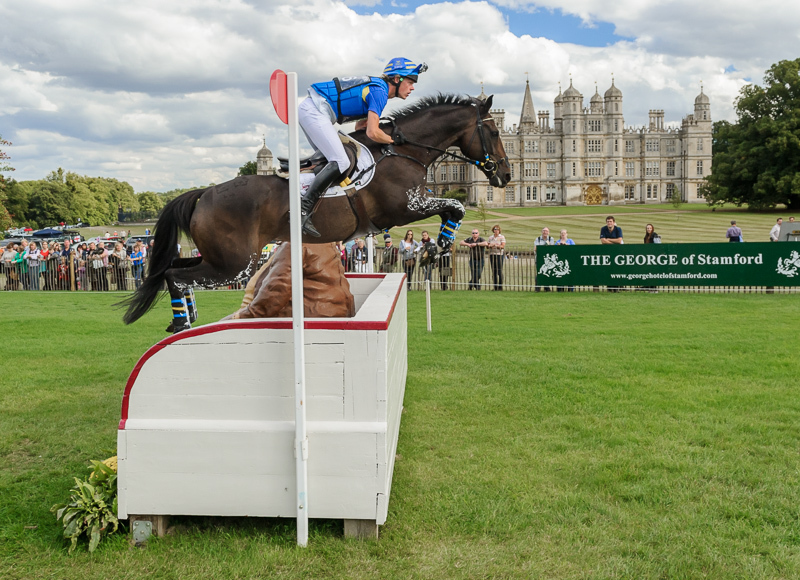 If you have not seen the course, be sure to have a look http://www.badminton-horse.co.uk/index.php/2014-cross-country-course-unveiled/. Cross Country day is sure to be exciting viewing for everyone. Thank you to everyone who has followed and supported me in the run up to Badminton. It means a lot to me and I hope for great success this year. Ludwig is engaging himself in the World Childhood Foundation – founded in 1999 by Her Majesty Queen Silvia of Sweden. A global organization, working for children´s rights to a safe and happy childhood. Childhood supports projects working with children at risk of abuse and exploitation, currently in 17 countries. “We are grateful to Ludwig for his initiative to support our work for children at risk”,comments Anna Hårleman de Geer Secretary General. Moving all his horses to Sir Mark Todd! Ludwig is moving his string of 6 horses to Mark Todd at Badgers Town, at the end of January. 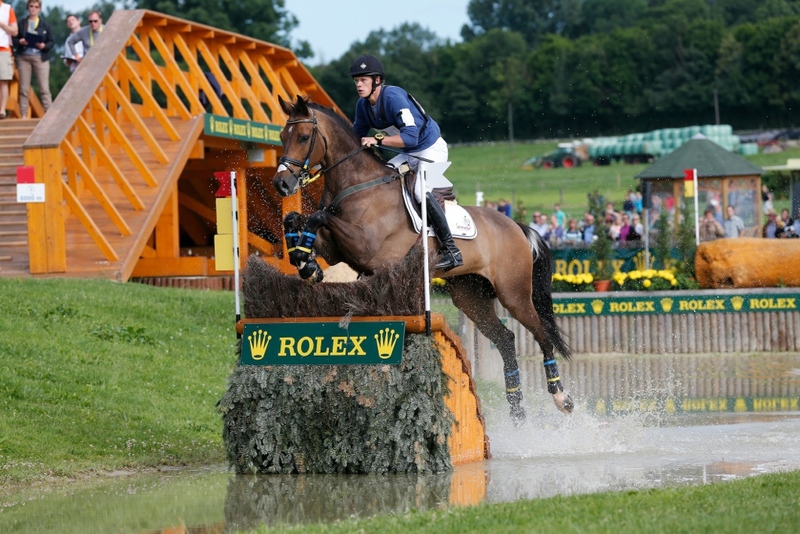 This includes his top horses King Bob and Alexander aimed at Badminton in May. 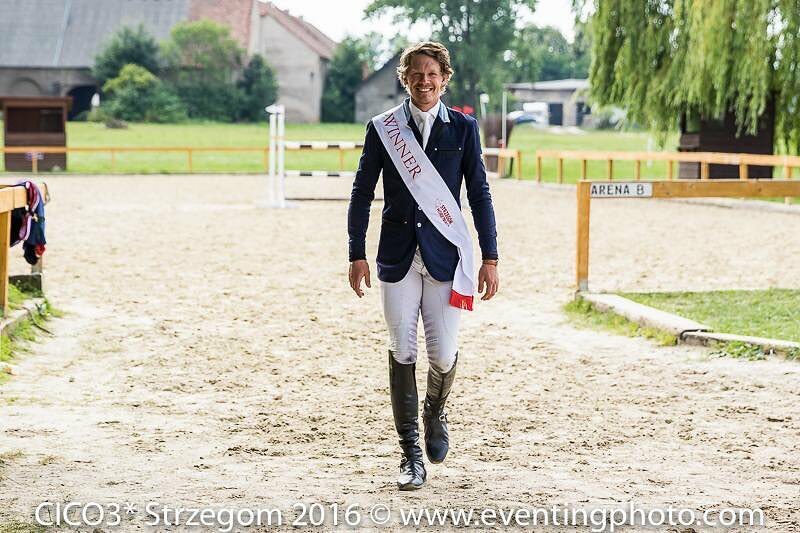 “I am thrilled to have the opportunity of training side by side with one of the world´s best event rider through all times”, says Ludwig. 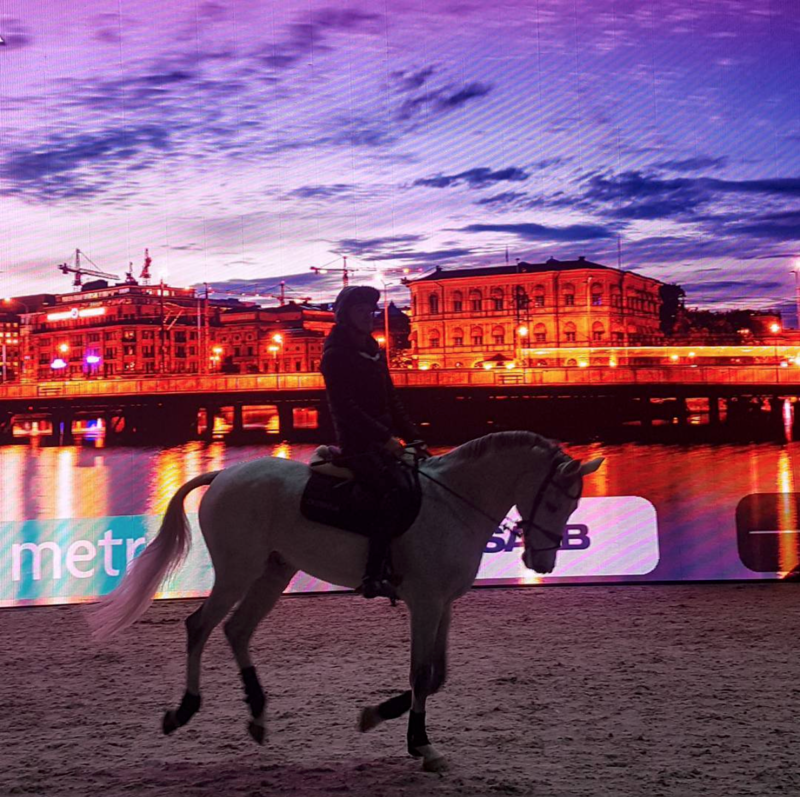 “It will be very inspiring, and give me a chance to be in a professional environment with great facilities ”, continues Ludwig, who is hoping for a medal at the World Equestrian Games in August. As Ludwig is reorganizing his stable with horses and is hoping to replace Shamwari with a younger horse, with Rio de Janeiro 2016 in mind, he fells excited about the future. The location of Badgers town is ideal as it is close to many events and to the M4 which makes it easy to communicate to the rest of England and Europe. Shamwari has now left my yard to join top international rider Boyd Martin, in the US. It was a very difficult and emotional decision to sell Shamwari, as he is a horse that made many of my dreams come true. I was very happy when Boyd showed an interest for him as I really respect him as a rider and a person and I’m sure he will take great care of Shamwari. 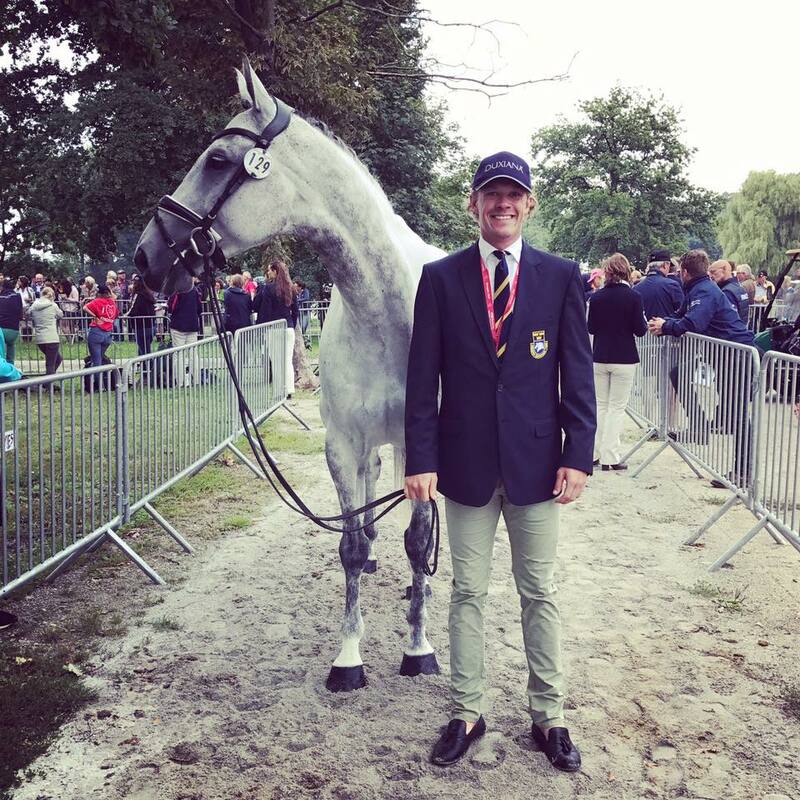 With Shamwari, I won a Team Silver at the European Championships in Sweden last summer as well as a fourth Team and 20th individual placing at the Olympic Games in London 2012. Together we got several placings in *** around Europe among them my first placing in *** in Burnham Market 2011 where we finished 2nd. I am selling Shamwari as my father have been investing in a lot of great horses of which I had the pleasure to produce to *** or ****. The idea was and always is to produce these horses and sell them at a good age when they have reached top level. We are now looking to invest in the next generation of horses to produce. 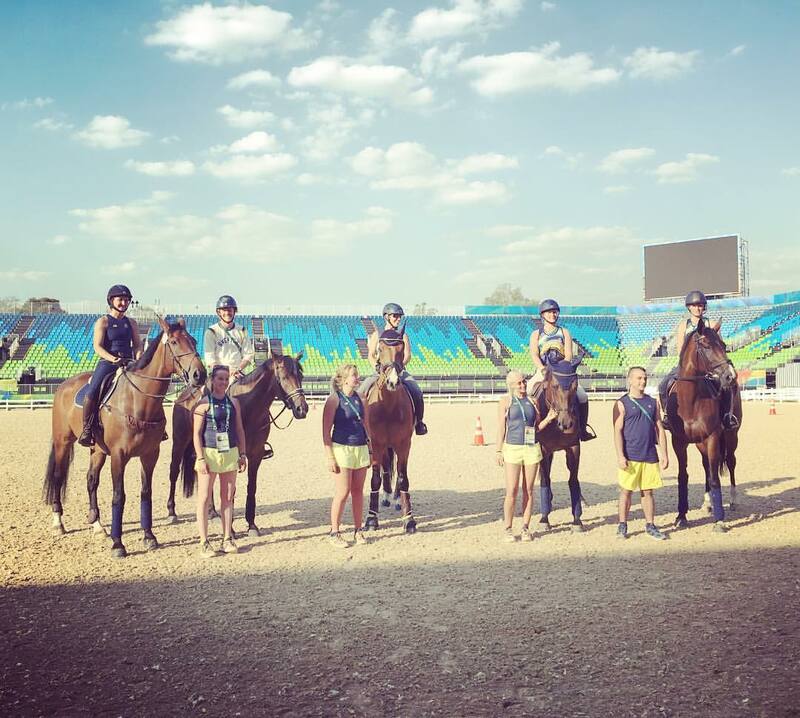 During Stockholm International Horse show, Swedish television took the opportunity of interviewing Ludwig who attended the show together with his European Silver Medal Team mates. 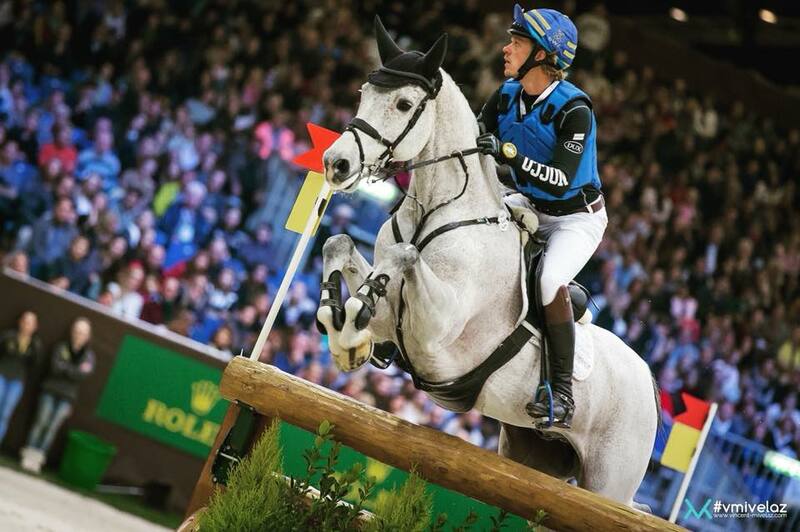 Ludwig won two prizes at the Swedish Equestrian Federations Annual dinner at Berns in Stockholm, by winning the “Swedish Champions Award” and the “Best Equestrian Team” prize for the European Silver Medal in Malmö in Eventing. 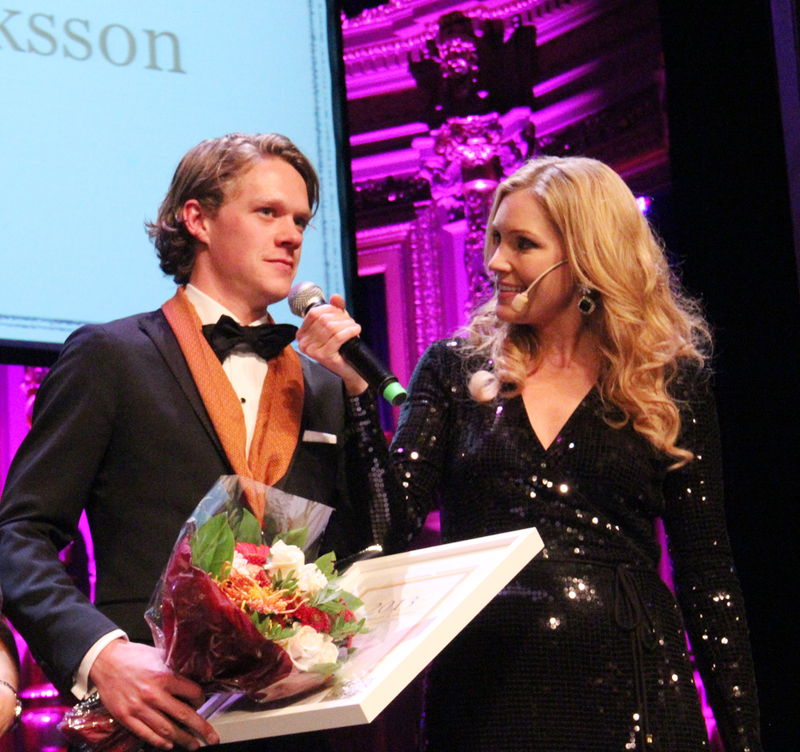 He was also very honoured to be the prize giver of “Tomorrow´s Stars”. It was a truly great evening enjoyed amongst friends, family and supporters. 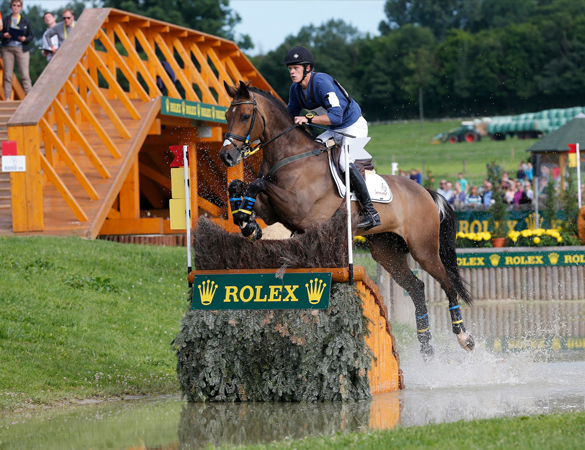 and coming rider who impressed them the most on the International stage in 2013. 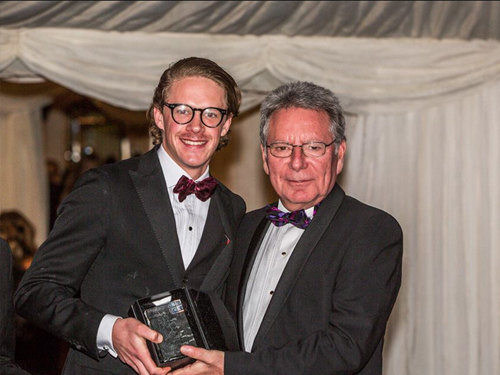 Ludwig describes this as the most prestigious prize he has ever won, and incredible to get this public acknowledgement. 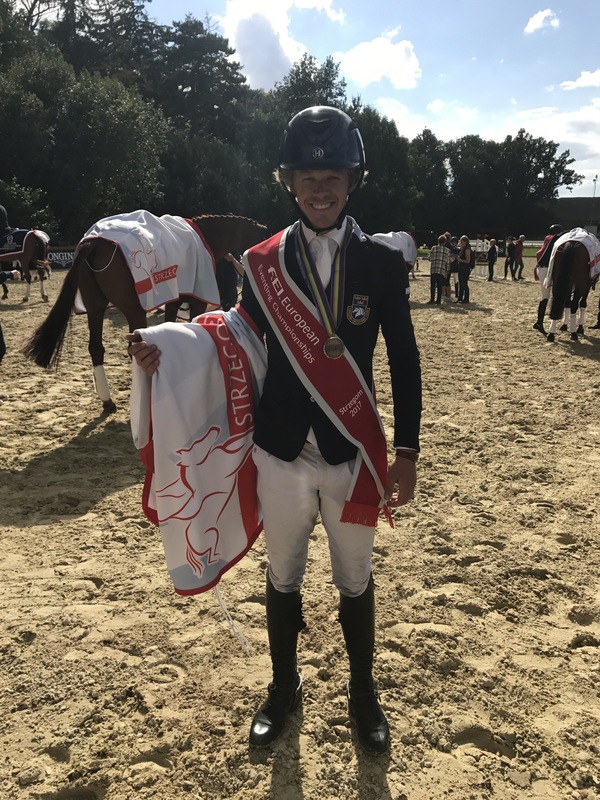 British-based Swedish eventer Ludwig Svennerstal has risen to prominence over the past few years as he graduated through the Junior and Young Rider ranks to become an Olympian last year. 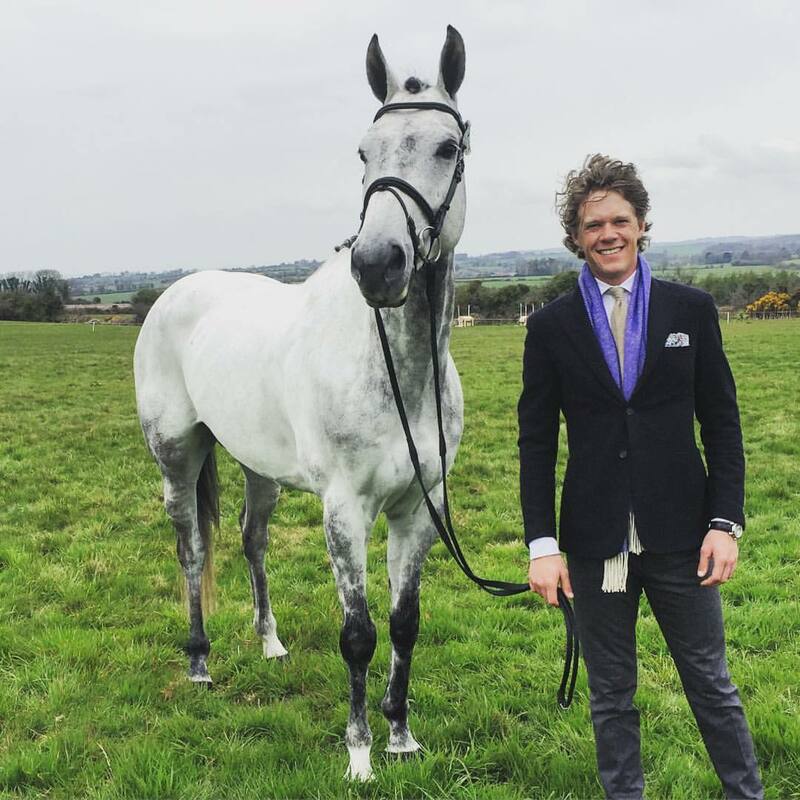 He has a group of four-star horses now that put this ambitious young man in a good a position to make the squad for next year’s Alltech FEI World Equestrian Games in Normandie and the 2016 Rio Olympic Games. 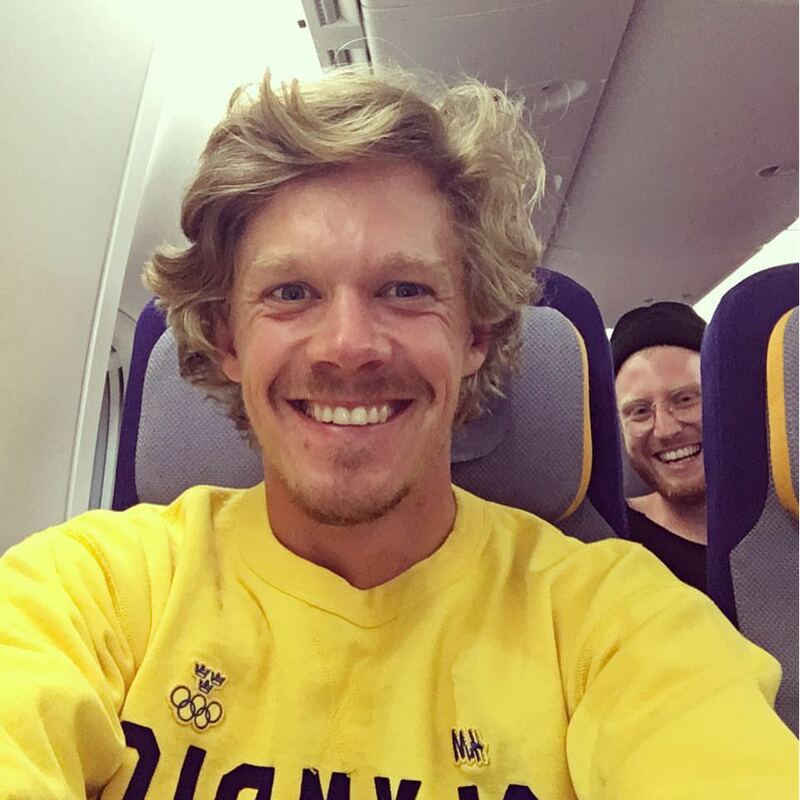 In the latest HSBC World ranking Ludwig Svennerstål of Sweden finds himself in the top ten of the HSBC ranking, for the first time ever. 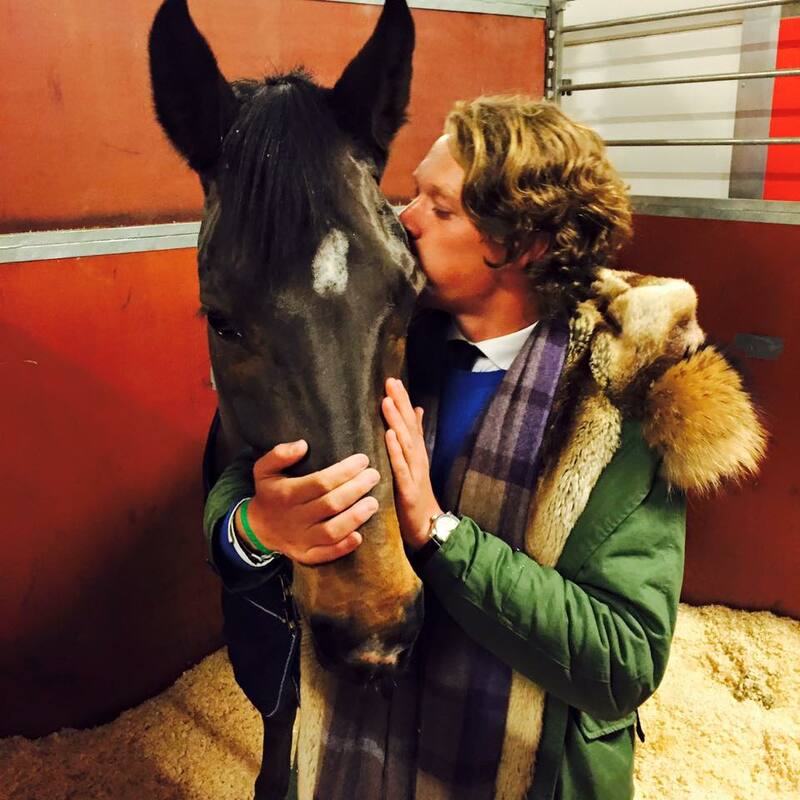 In the latest ranking he holds down 10th position which of course also makes him the leading man of Scandinavian Eventing and probably the youngest person ever to enter the top ten on the world ranking. It was a great satisfaction for Ludwig to succeed with this milestone and dream he had since a young age. Ludwig entered the French 4 star competition at Les Etoiles de Pau CCI4*, lying in 11th place after a dressage score of 45,7 before going into the cross country phase. They had everything to fight for on the challenging course, but unfortunately they undramtically slipped on the flat and was not allowed to finish the course. 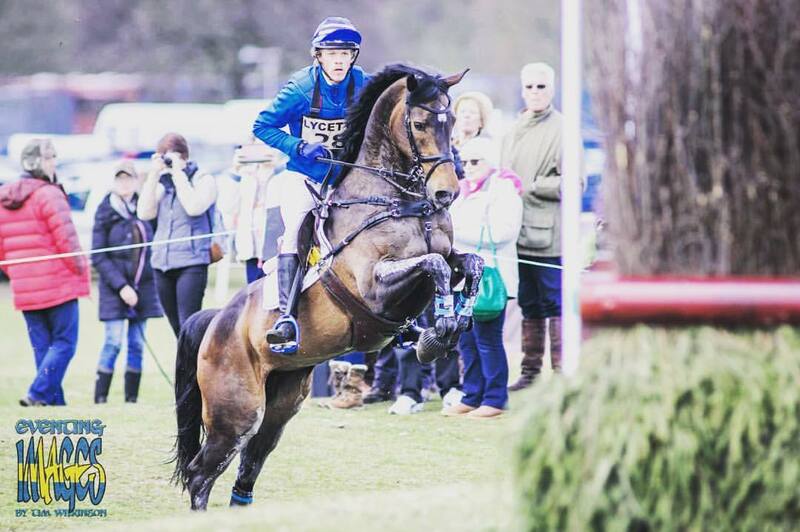 Ludwig continued his success at the European Chamionships, where he was clear at the cross country with King Bob and managed to climb to 9th place in the final competition on Sunday. 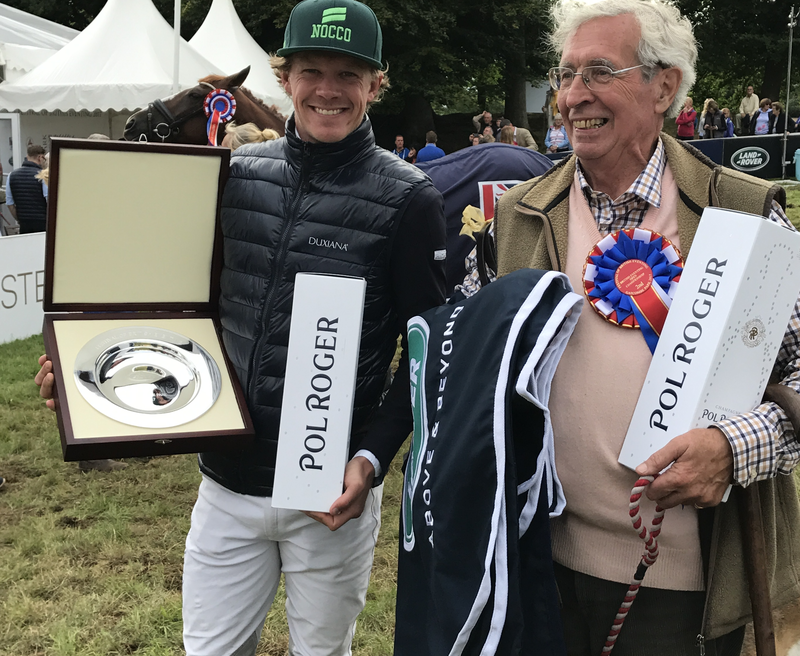 Straight after the European Championships, Ludwig drove the long journey from Sweden to drop off his Silver Medal horse Shamwari at home, repack and bring King Bob to Burghley. King Bob proved to be in great form, and performed his personal best in two out of the three disciplines, and the lowest score at this level. 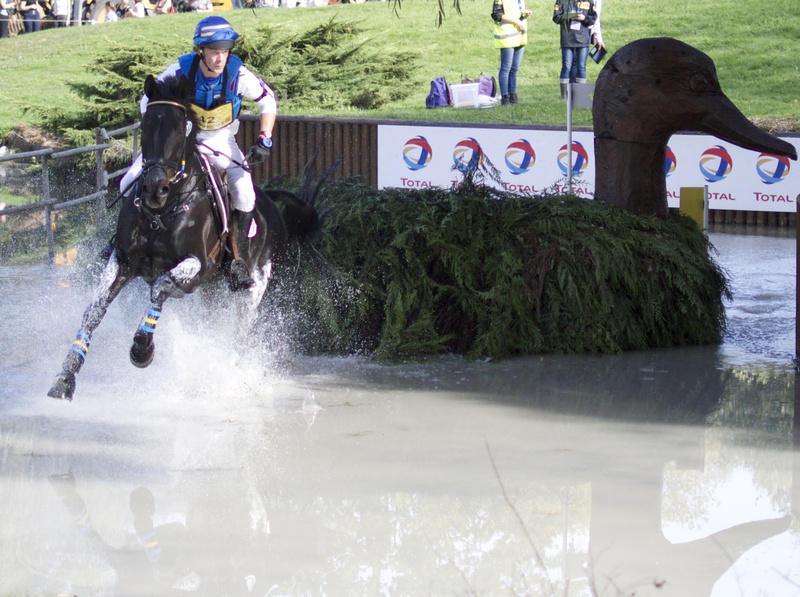 Burghley is for sure the most demanding and toughest cross country course in the world, and this year was no different. 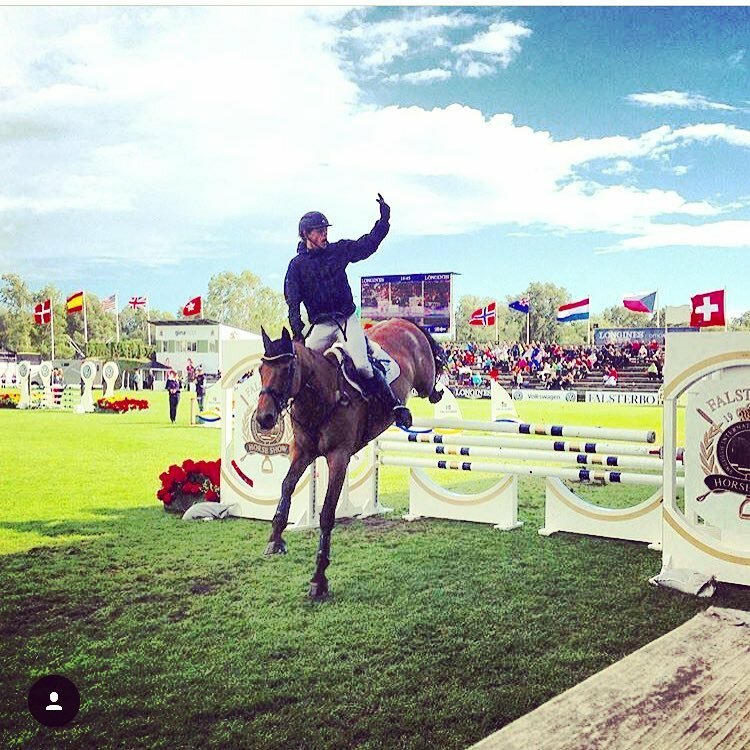 On the last day, the show jumping phase, King Bob was a little too wild and fresh, which led to one rail down, but the combination finished in 9th place, which is the best result ever for Ludwig at a four star competition. After at few days of pre camp at the Swedish National Stud, Flyinge, Ludwig set off to Malmö for the European Championships. 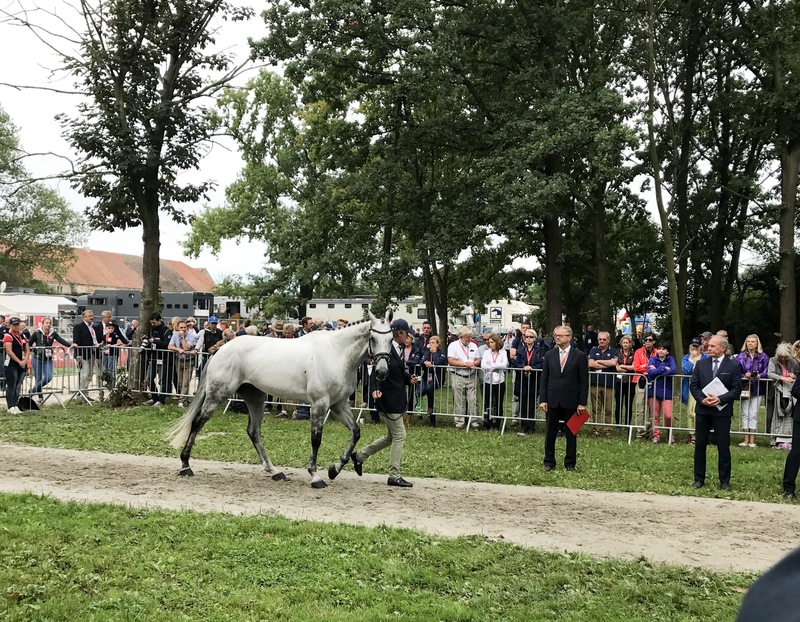 Shamwari was on great form, doing a good canter program and walk, but the trot work was not up to his normal standard which resulted in a score of 37,6 lying in 3rd place after the dressage phase. The cross country on the second day proved a bit on the soft side, Shamwari did a classy round, and picked up only 0,4 time faults, which kept him in 3rd place before the final day and Show Jumping. 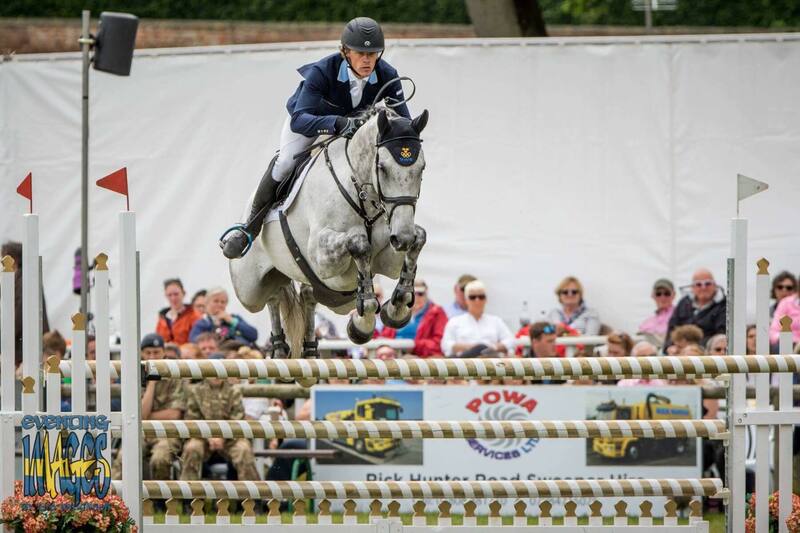 Unfortunately, although Shamwari did not jump bad, he had two poles down, which dropped the combination to 10th place. This was a personal disappointment for Ludwig, but he was happy to win the Team Silver Medal. 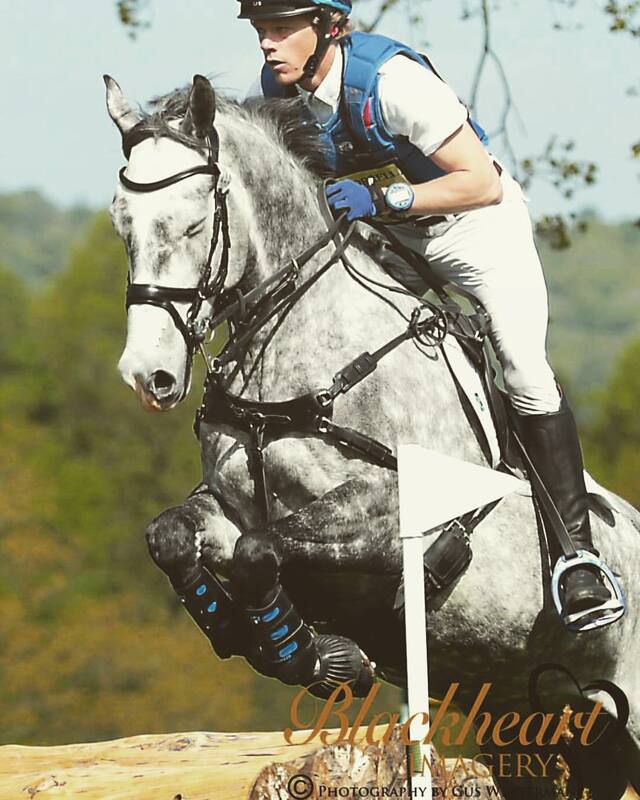 Ludwig and King Bob finished 11th at The Festival of British Eventing at Gatcombe Park, and 14th place with Shamwari. 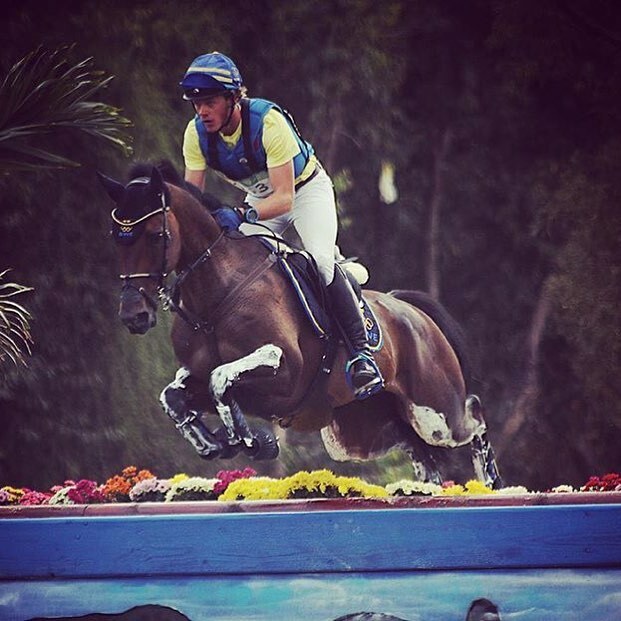 King Bob was clear both at the cross-country and show jumping phases.